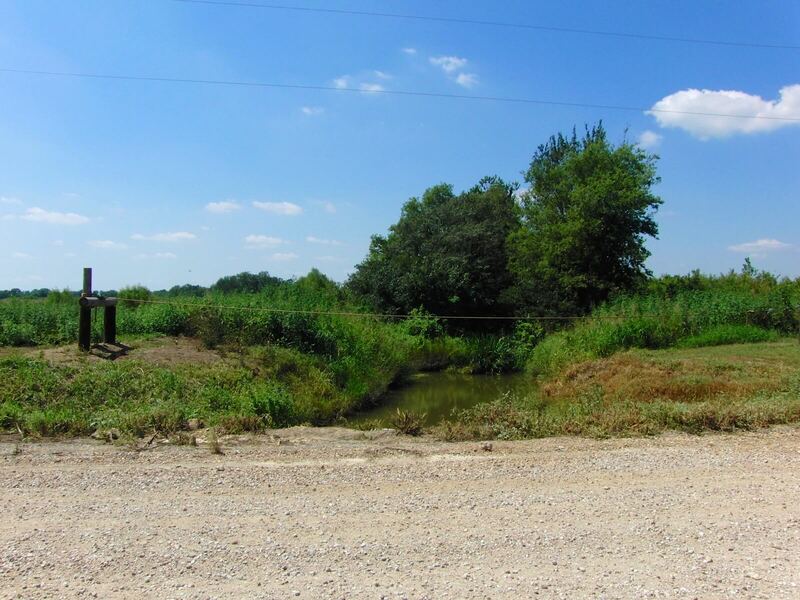 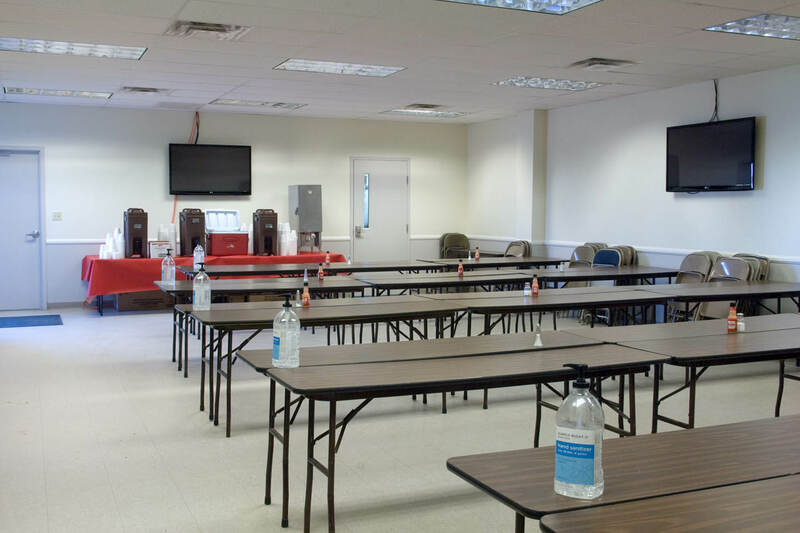 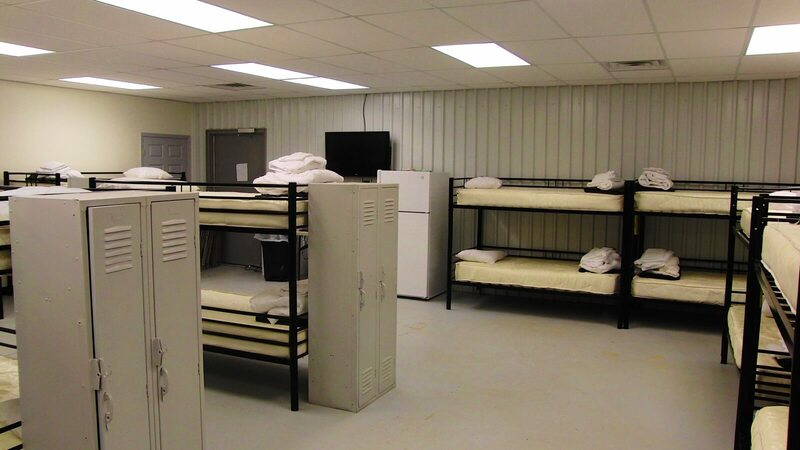 Lodging is centrally located within easy walking distance to every classroom. 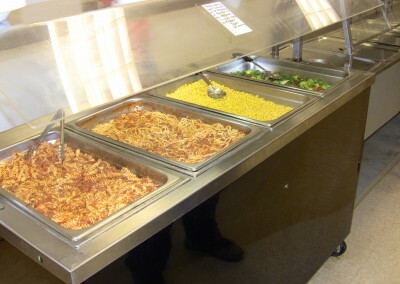 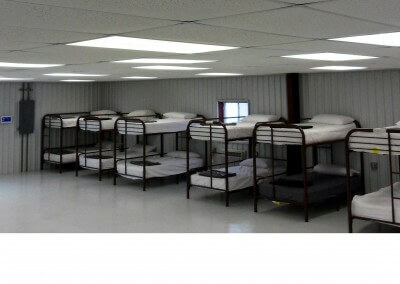 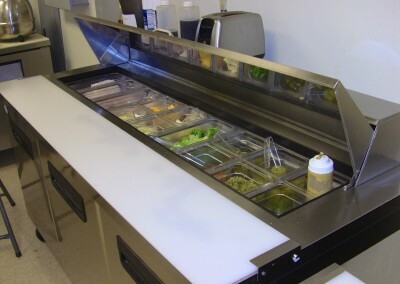 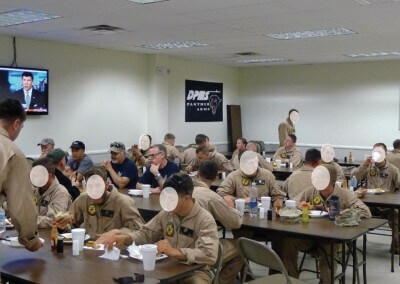 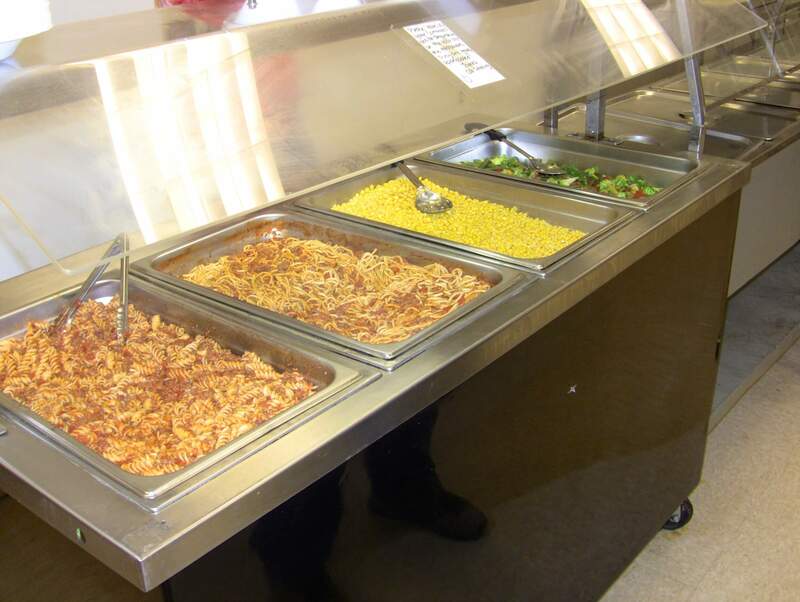 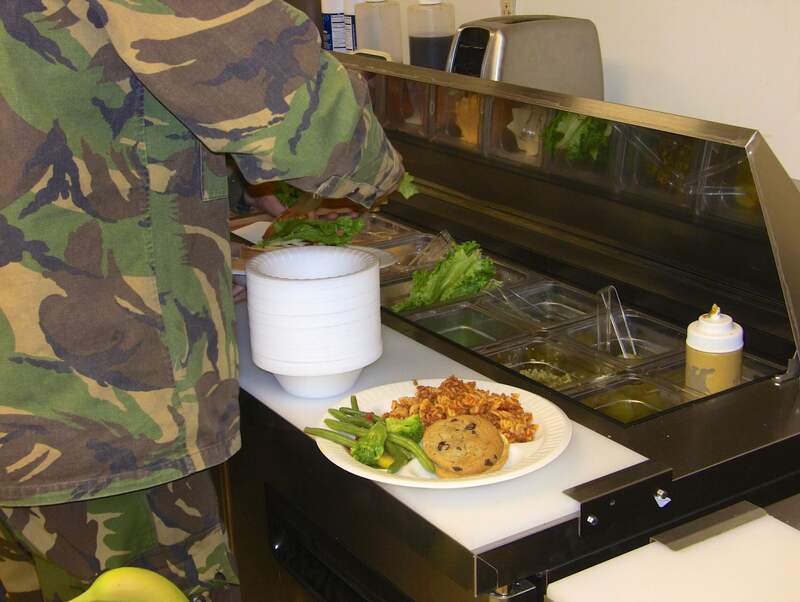 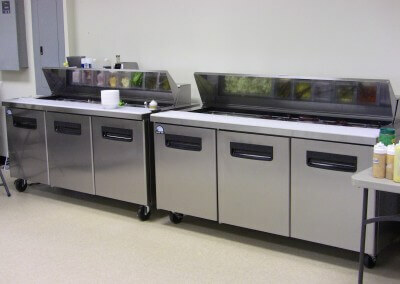 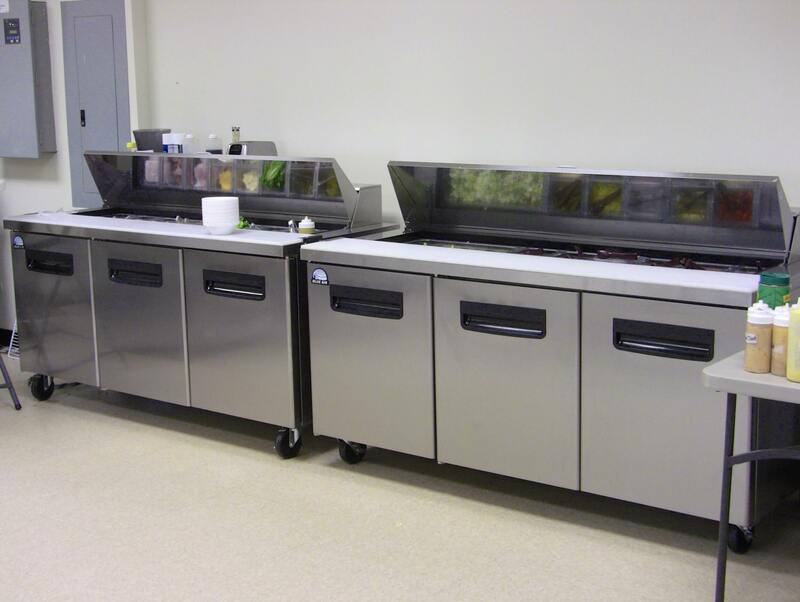 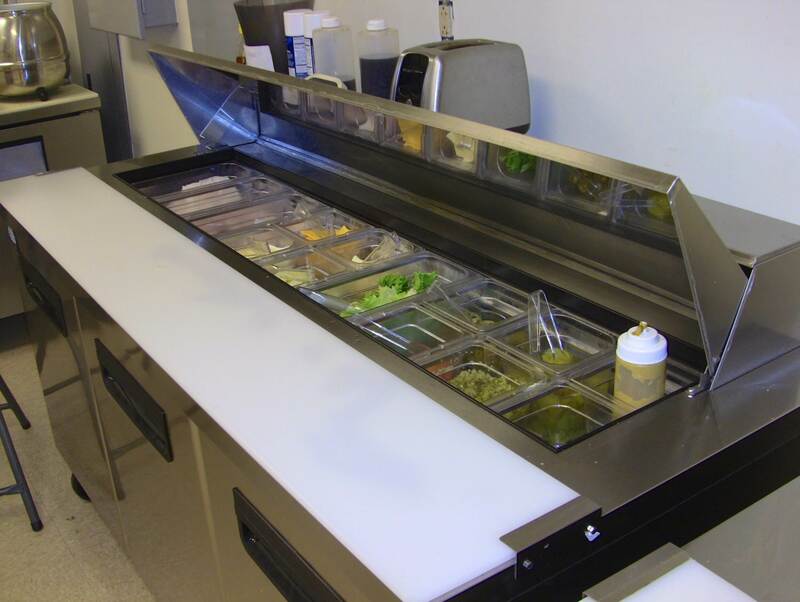 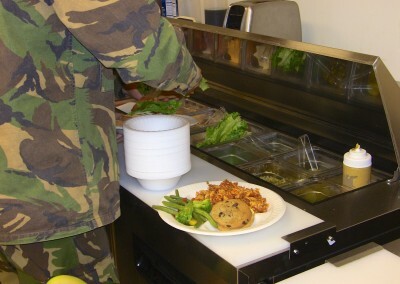 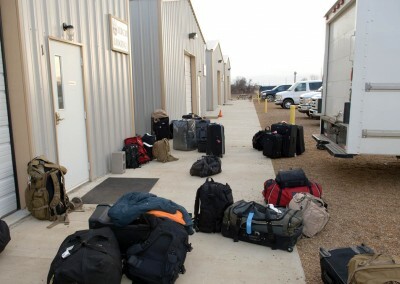 T1G onsite lodging and meals mean more efficient use of every operator’s time and a major cost savings. 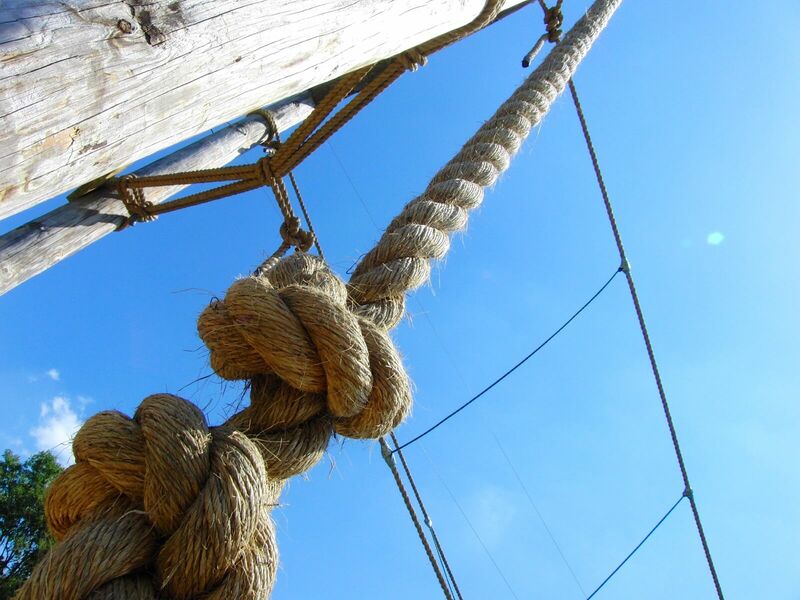 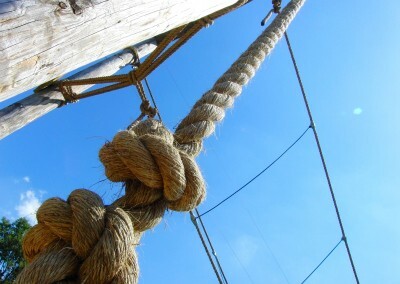 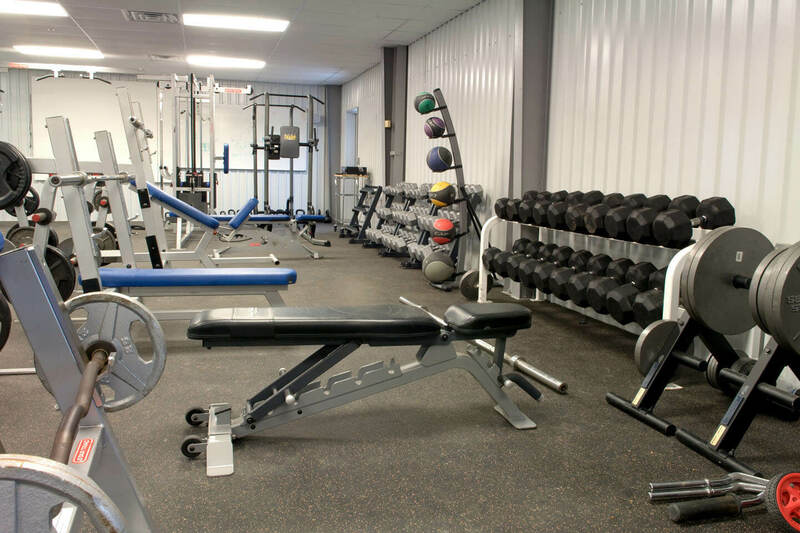 More training time with reduced costs translate to more value on every effort. 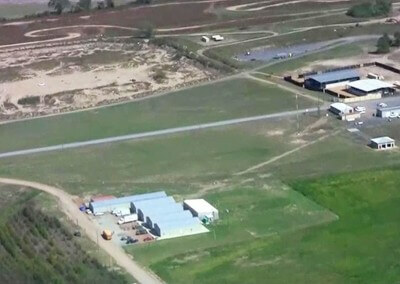 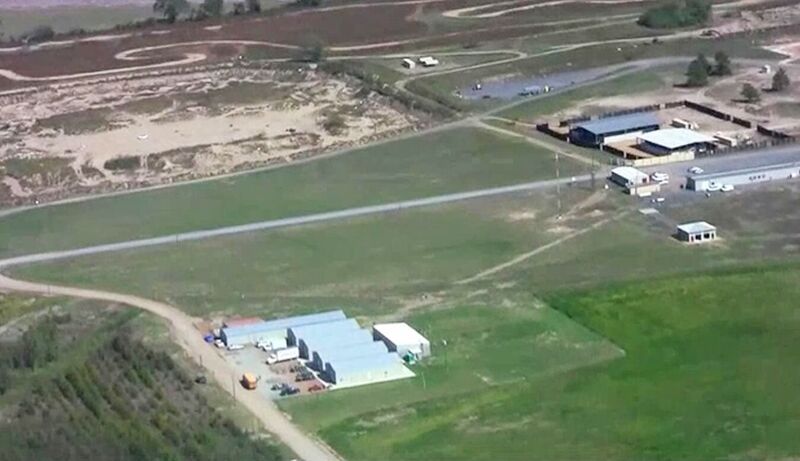 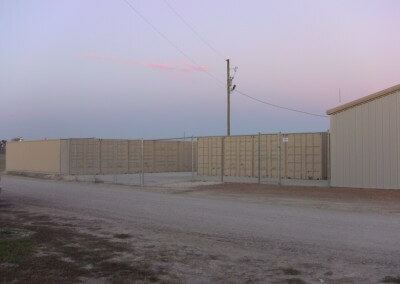 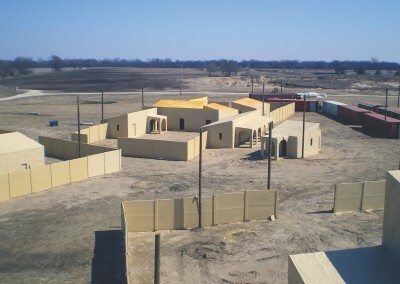 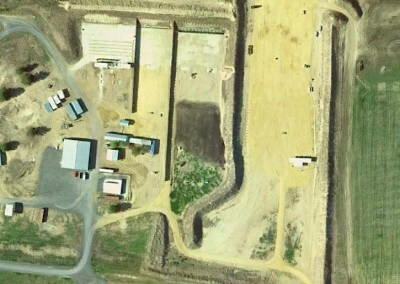 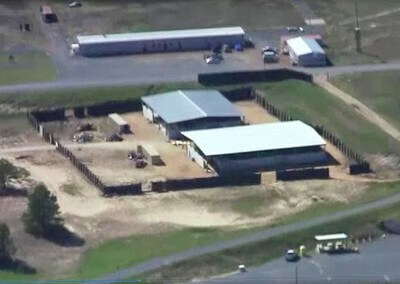 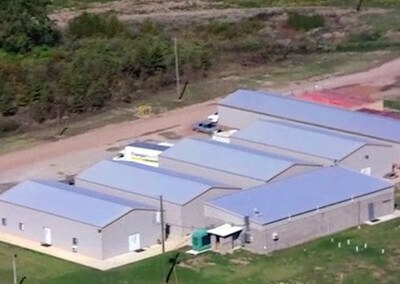 The lodging compound has six buildings. 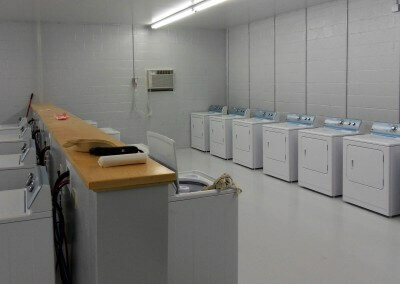 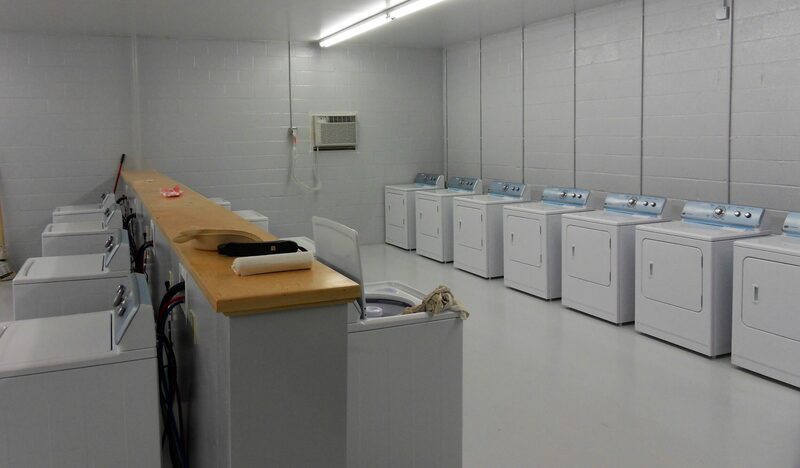 One co-located building provides vending, laundry, shower, and bathroom facilities for male and female with 50” flat screen 24/7. 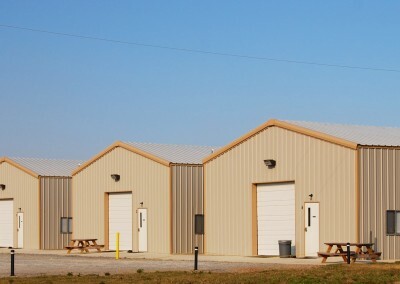 Each building has a 700 sq. 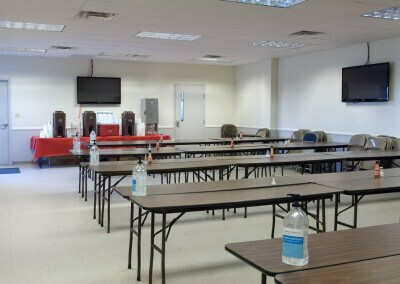 ft. team room with 50” flat screen with Satellite TV and Wi-Fi. 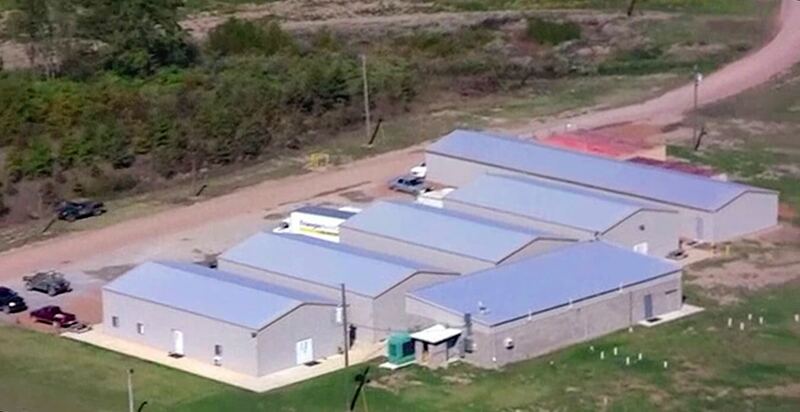 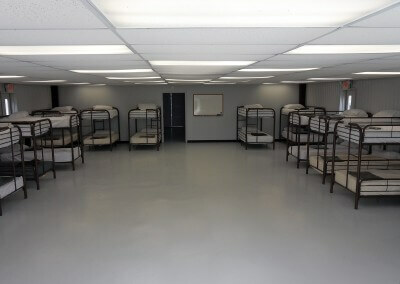 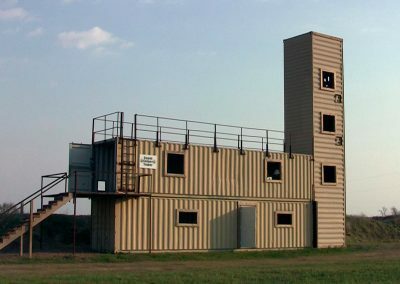 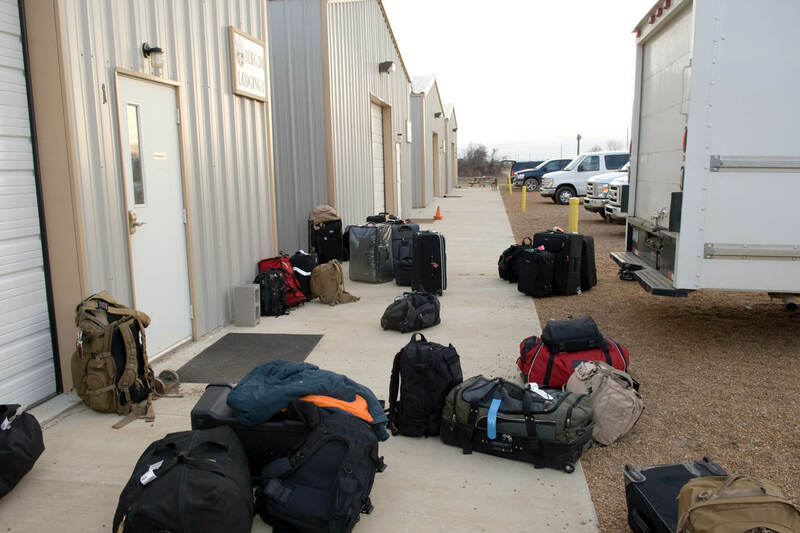 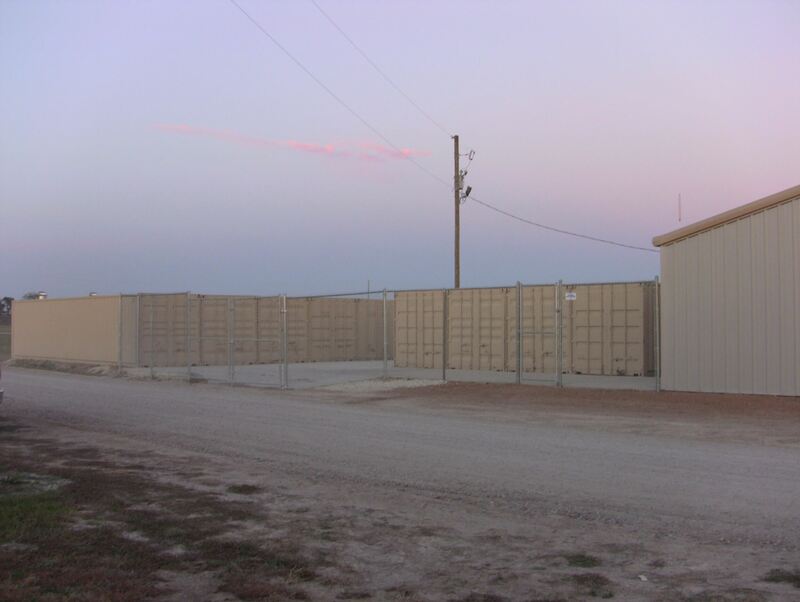 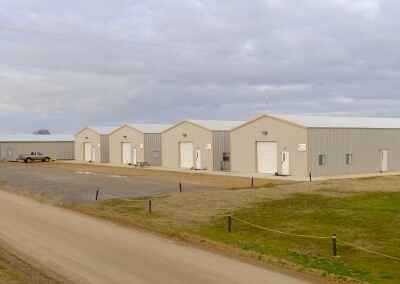 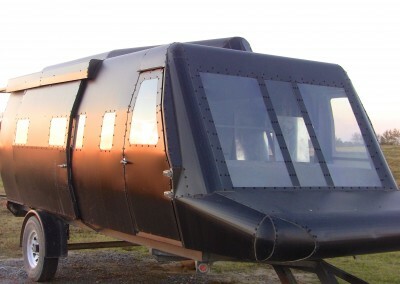 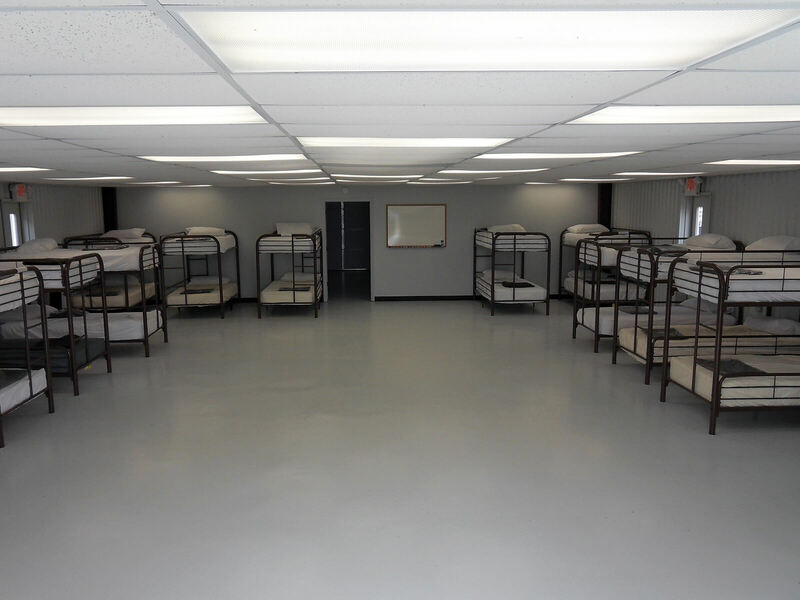 Zero hassles for transit and gear stowage, and significantly reduced risk/chance of “off-property incidents.“ Four securable buildings each sleep 50 with private room for up to two SNCOIC or OIC. 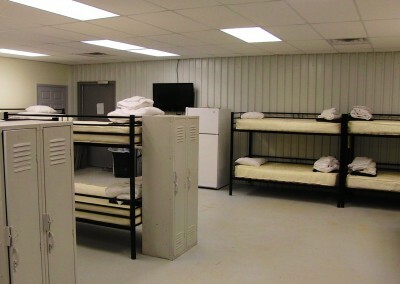 Two additional quarters sleep 64. 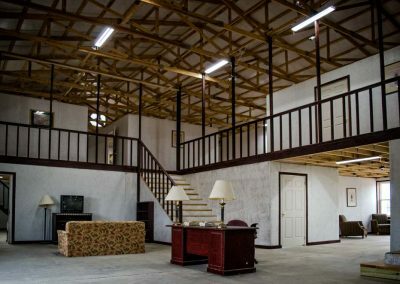 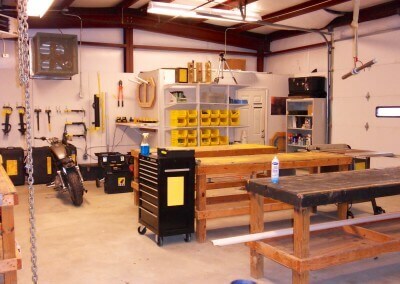 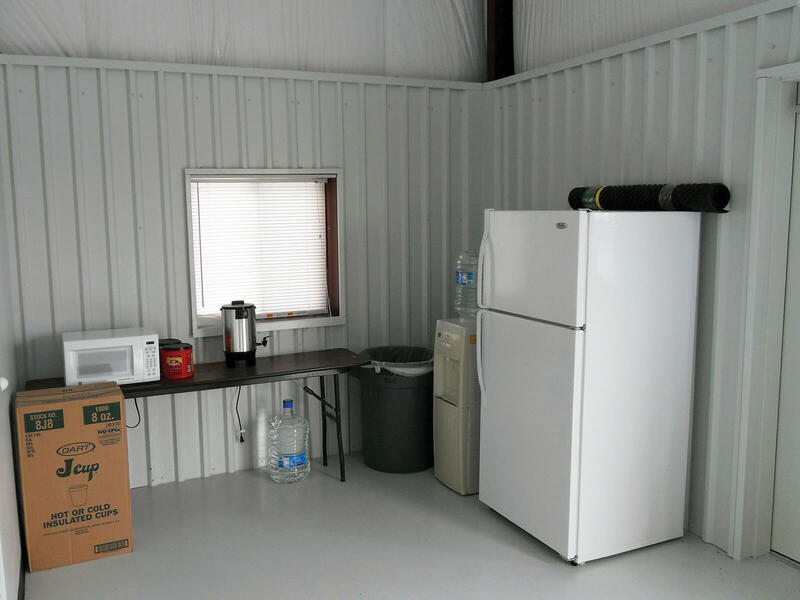 Each area has 50 chairs, tables, white board, refrigerator, microwave, and coffee. 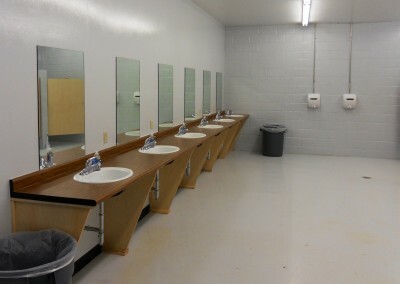 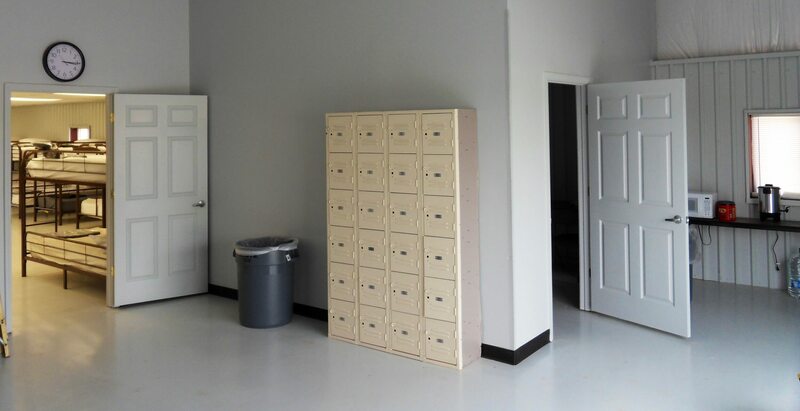 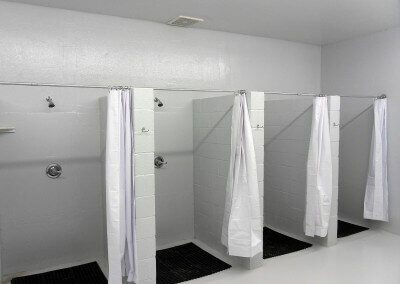 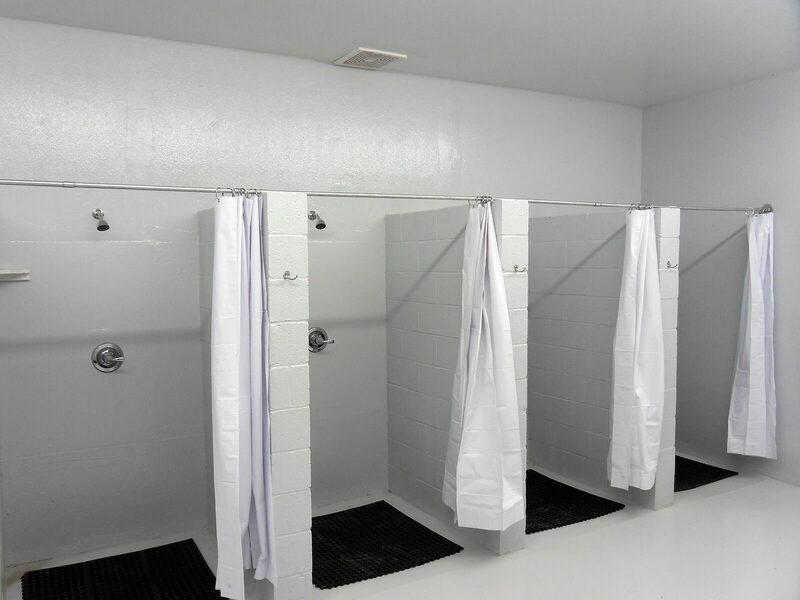 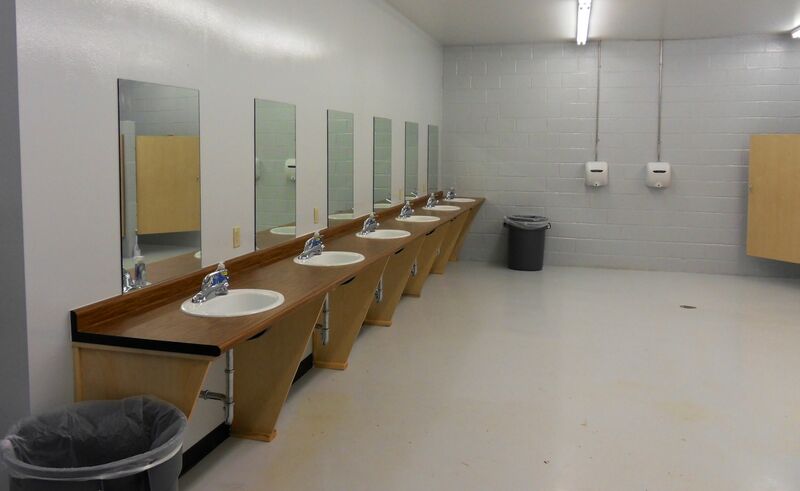 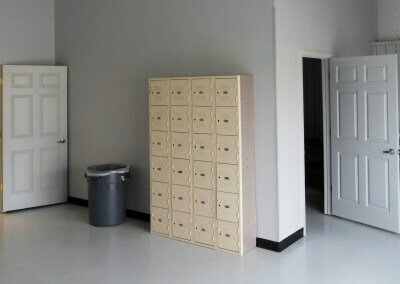 Individual lockers and linens are provided. 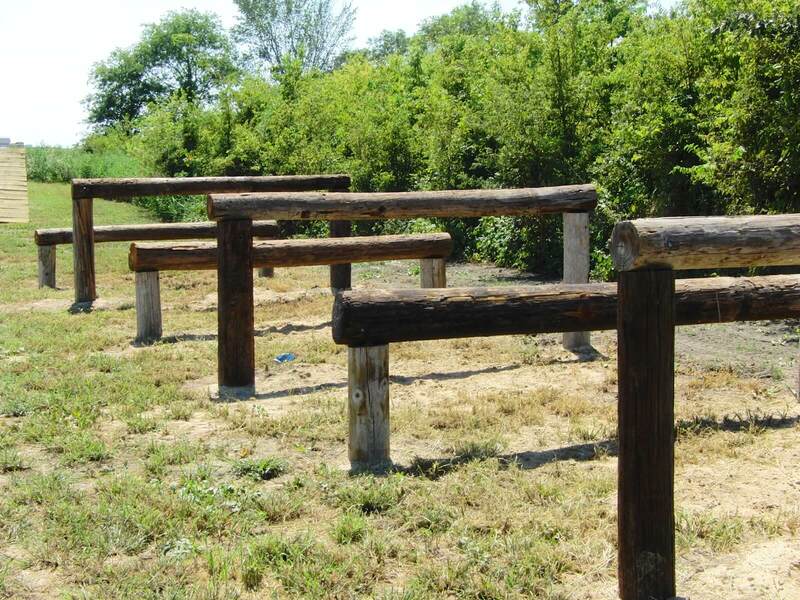 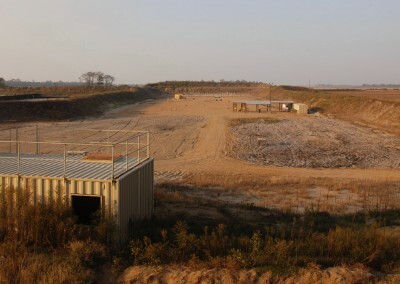 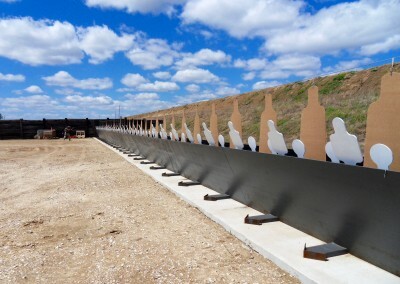 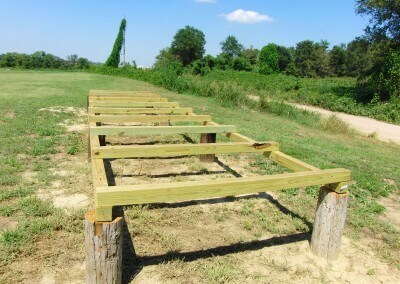 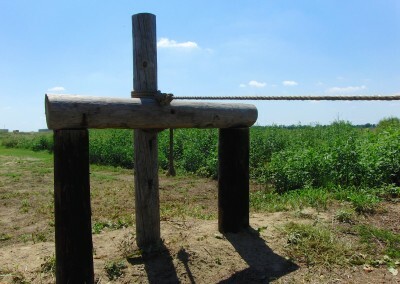 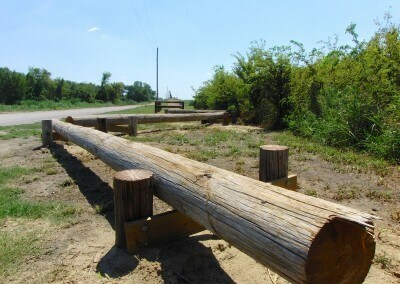 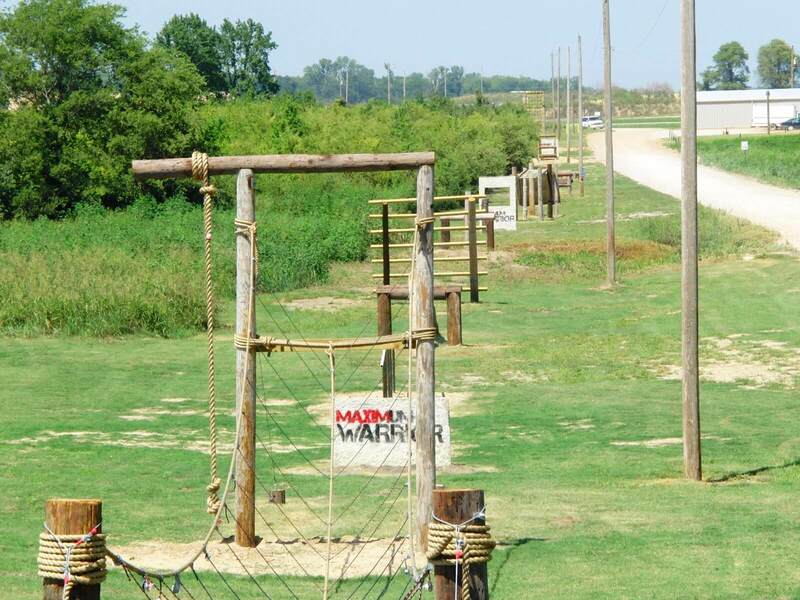 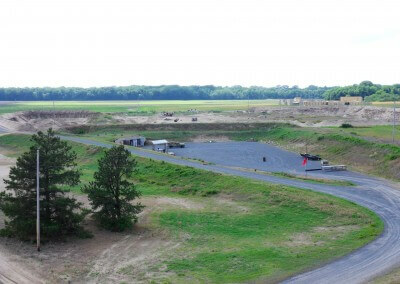 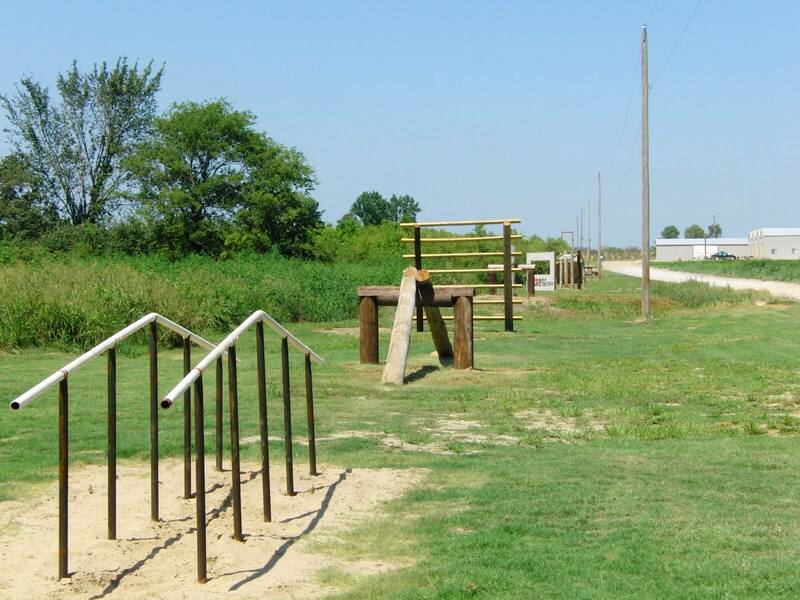 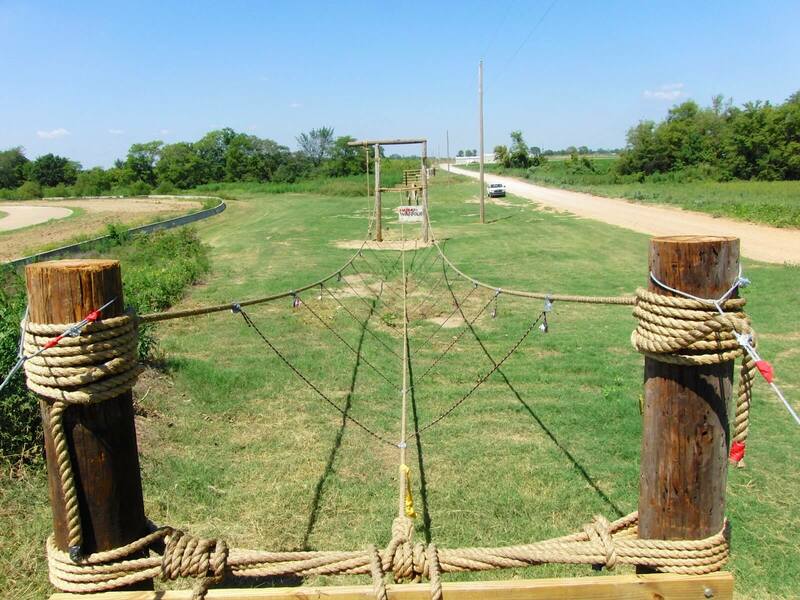 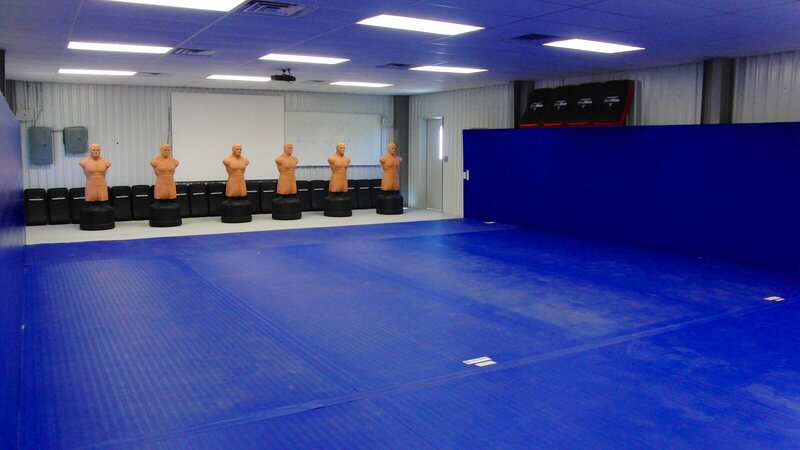 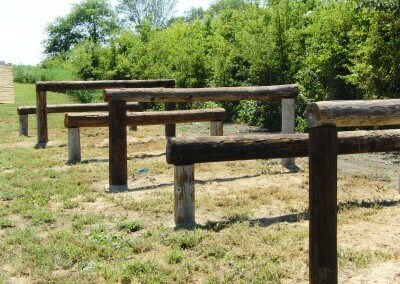 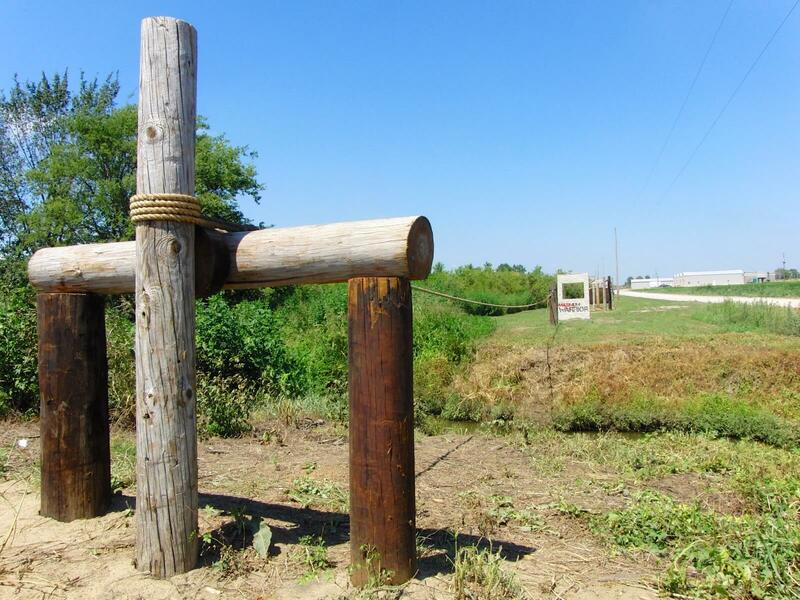 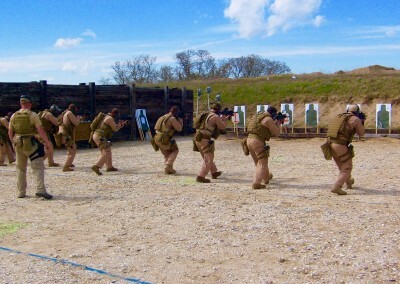 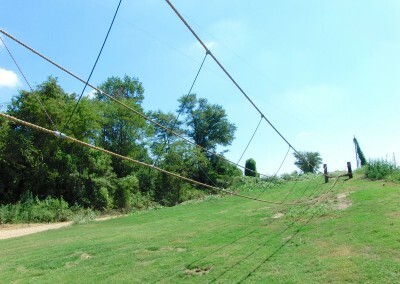 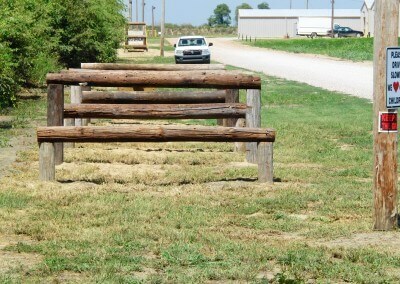 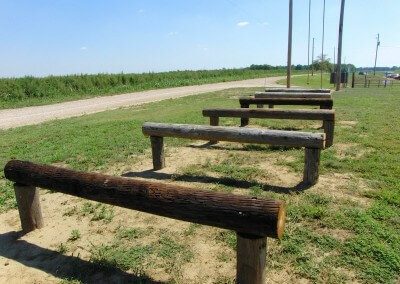 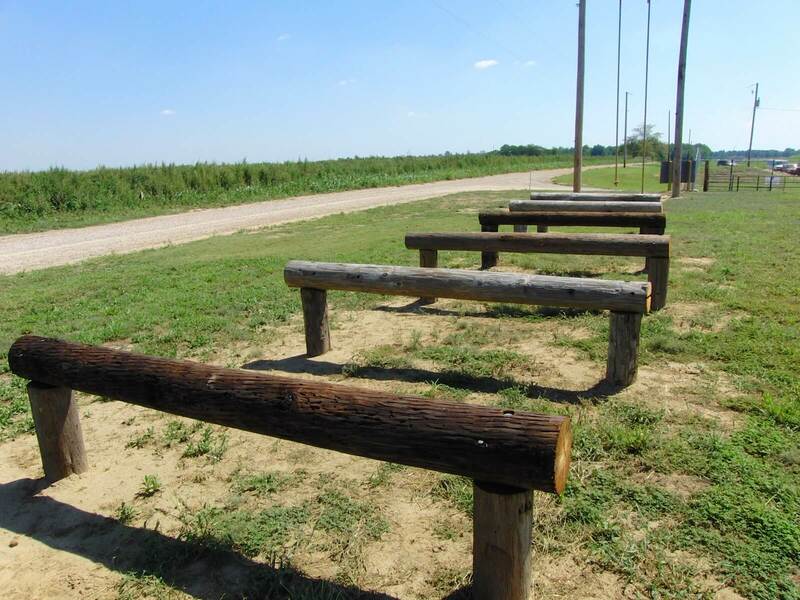 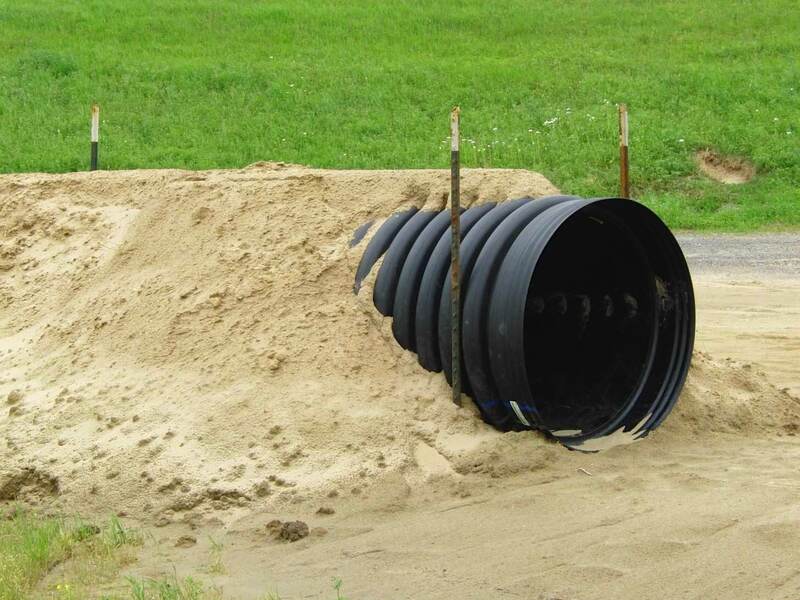 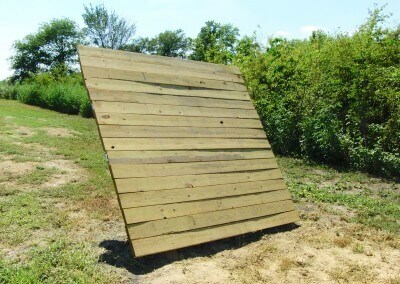 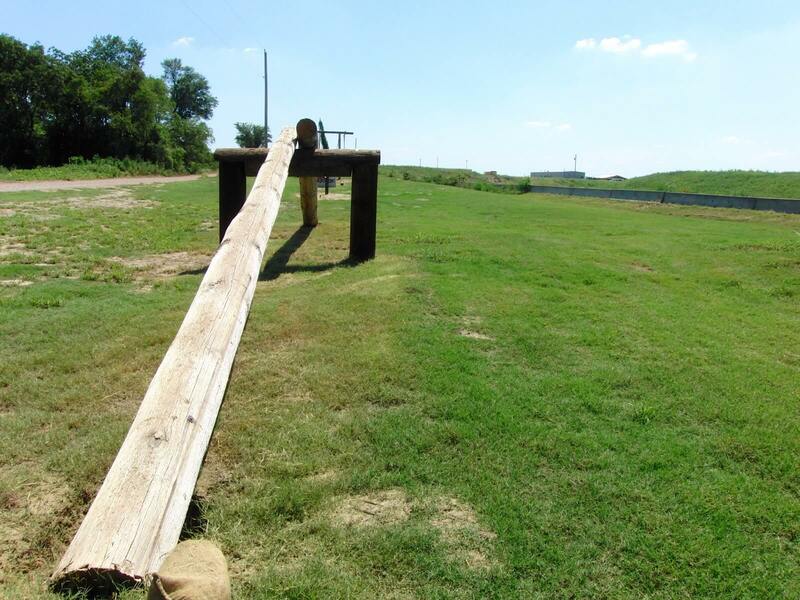 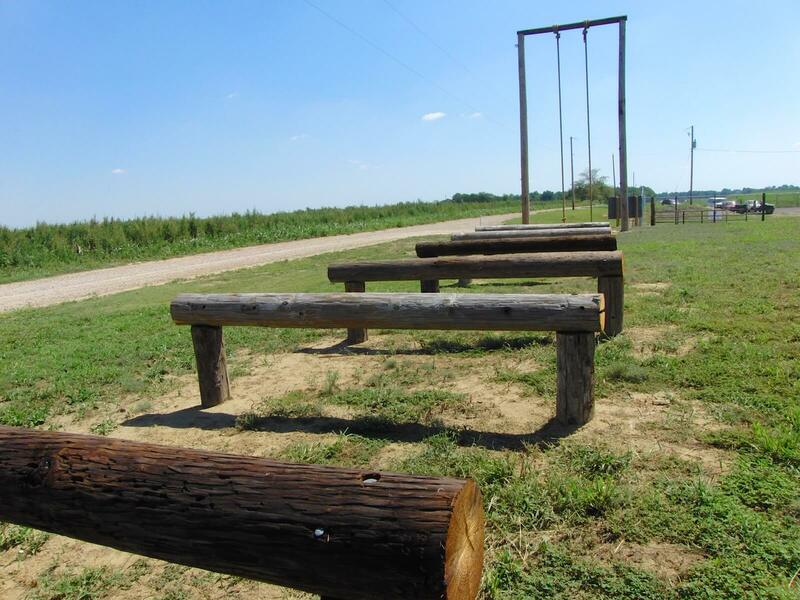 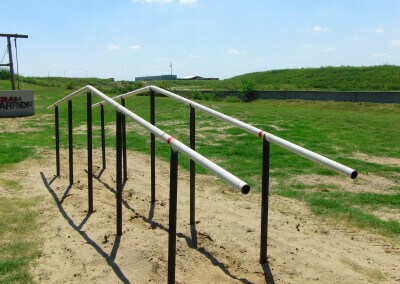 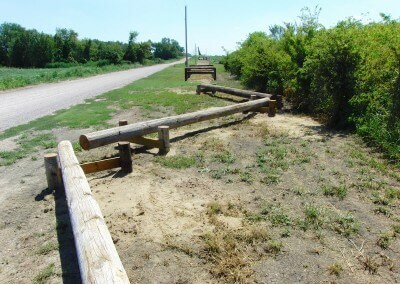 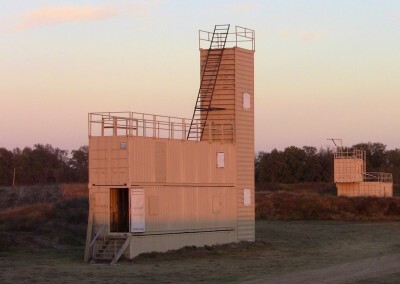 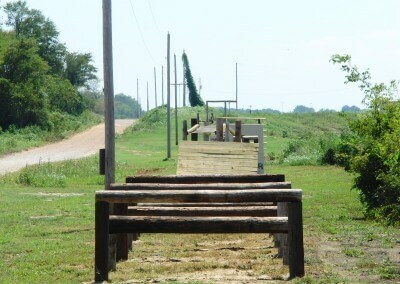 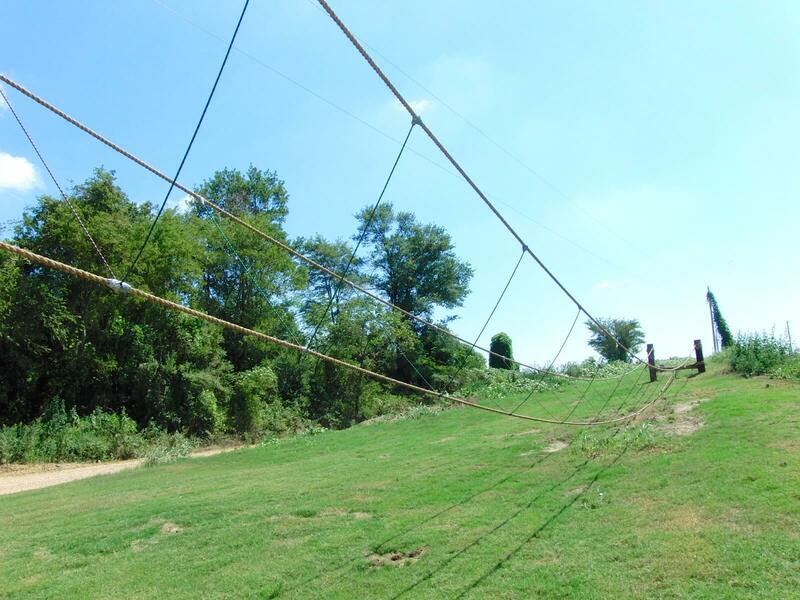 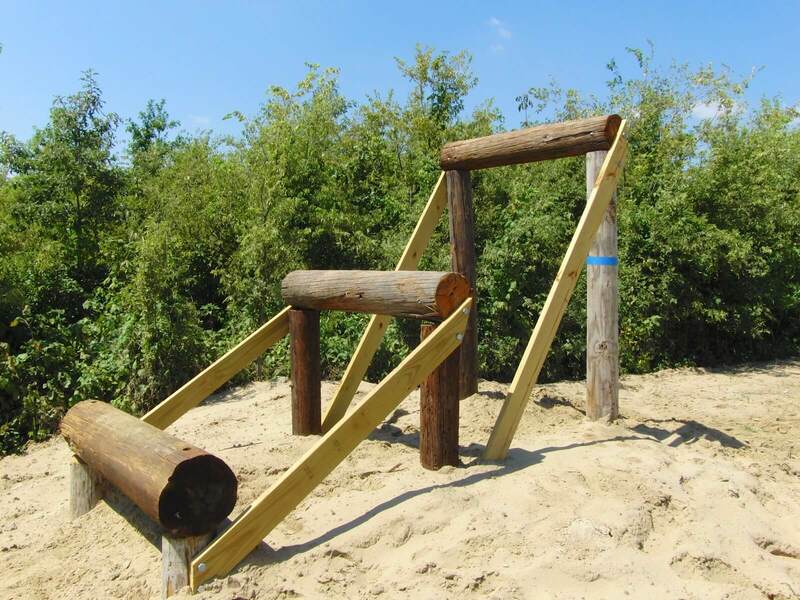 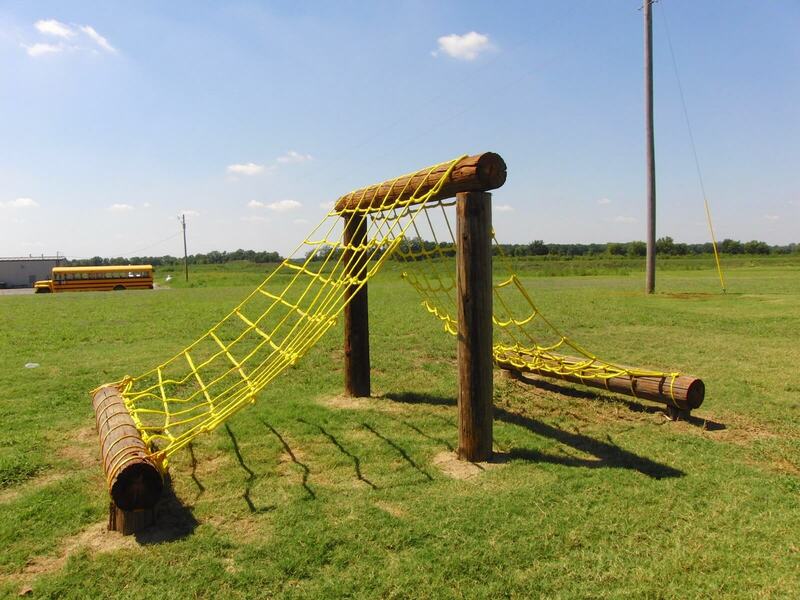 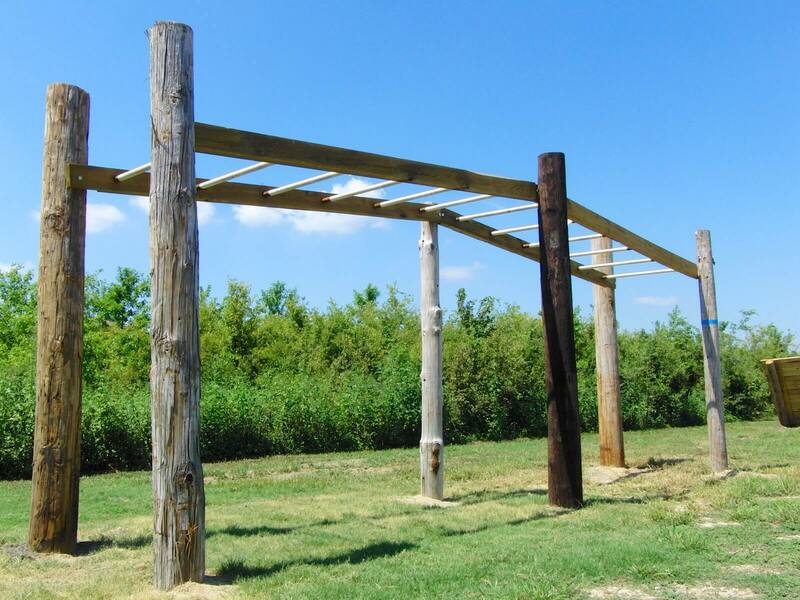 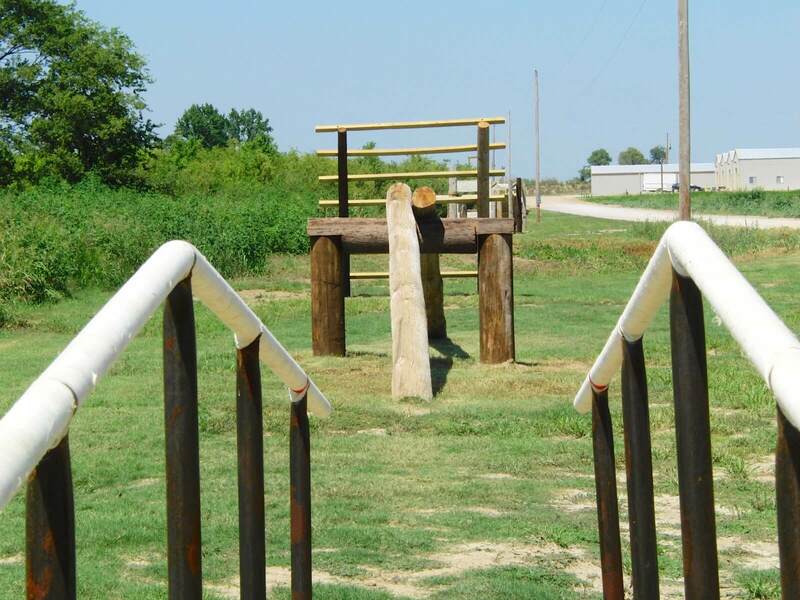 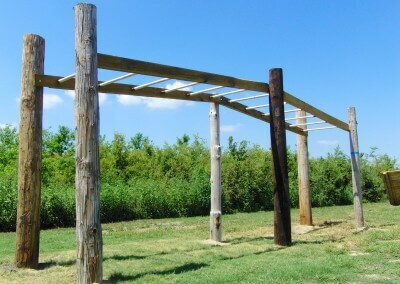 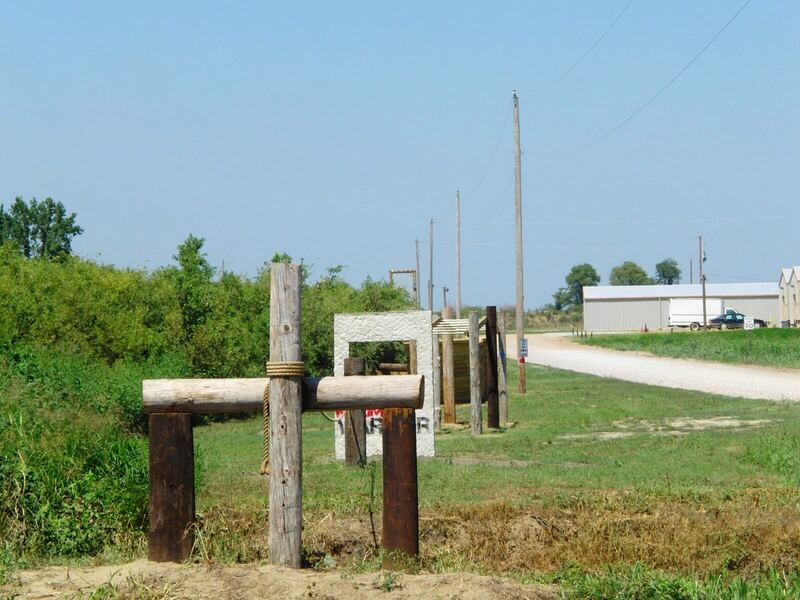 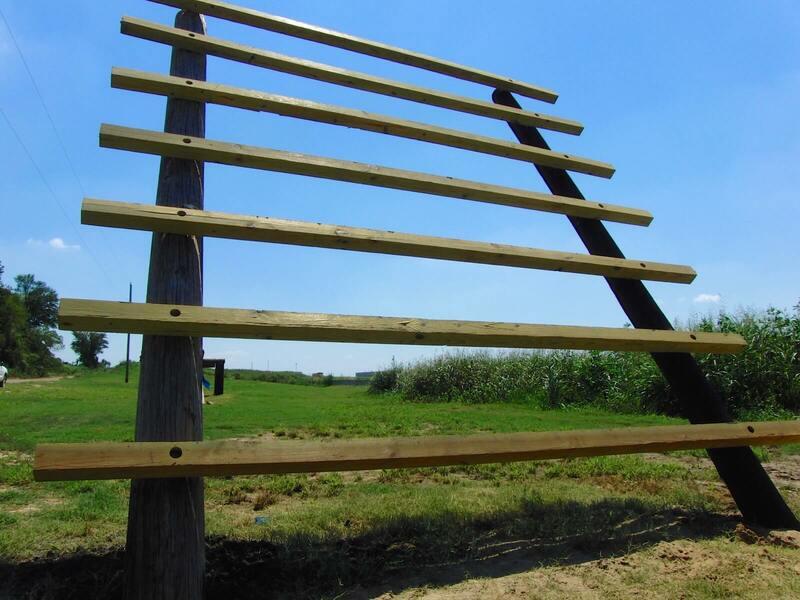 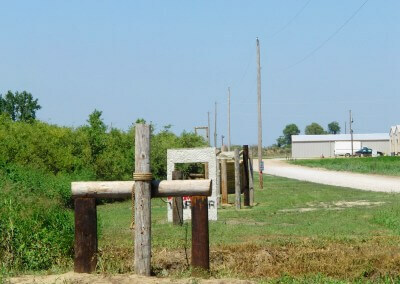 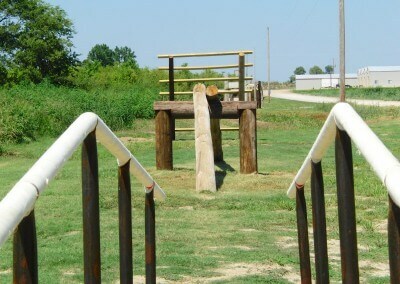 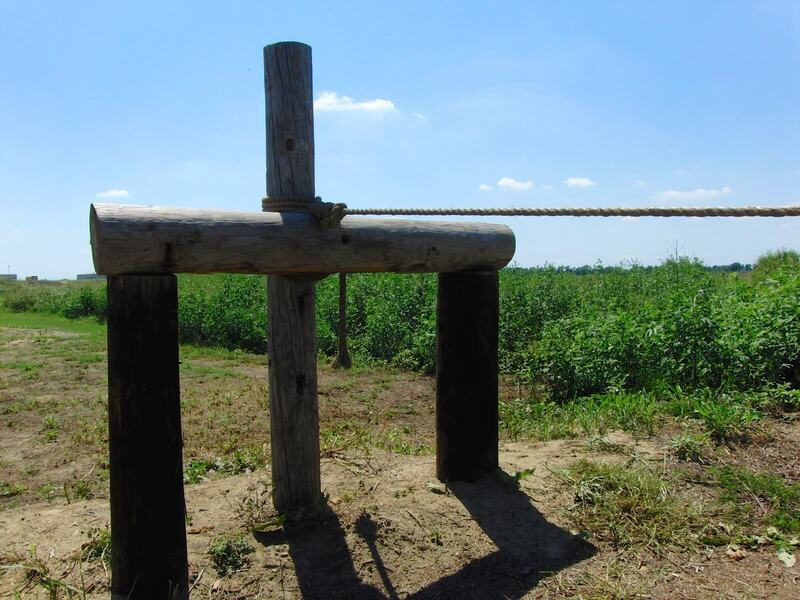 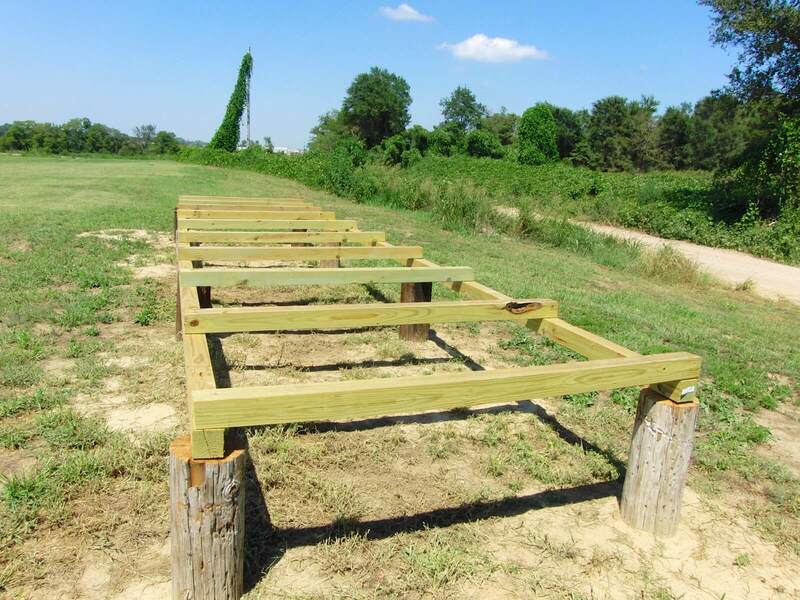 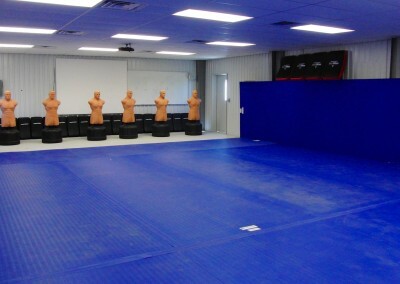 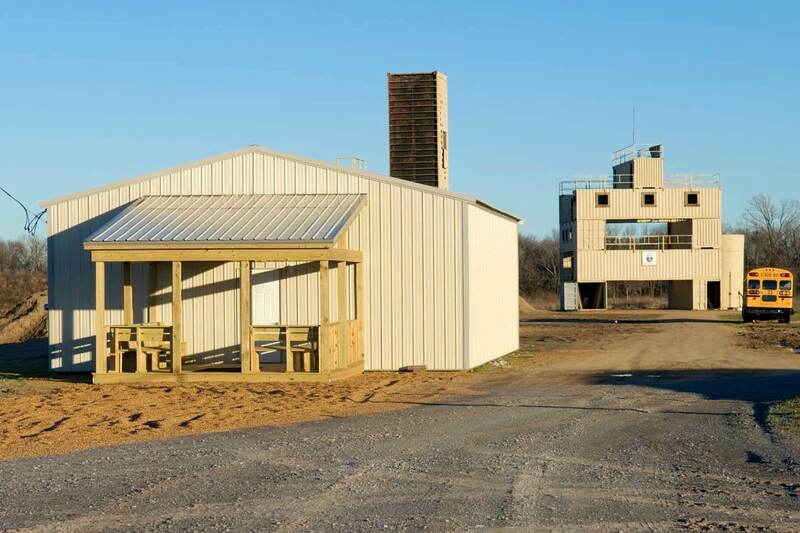 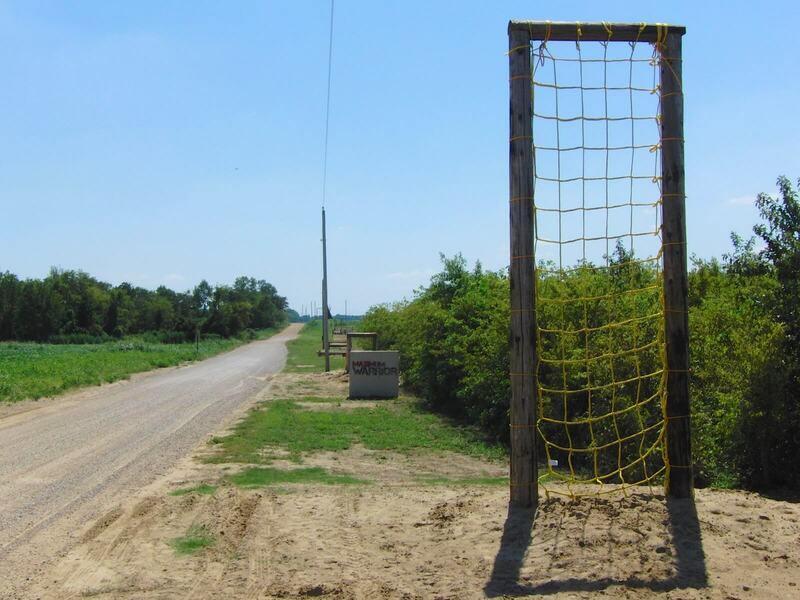 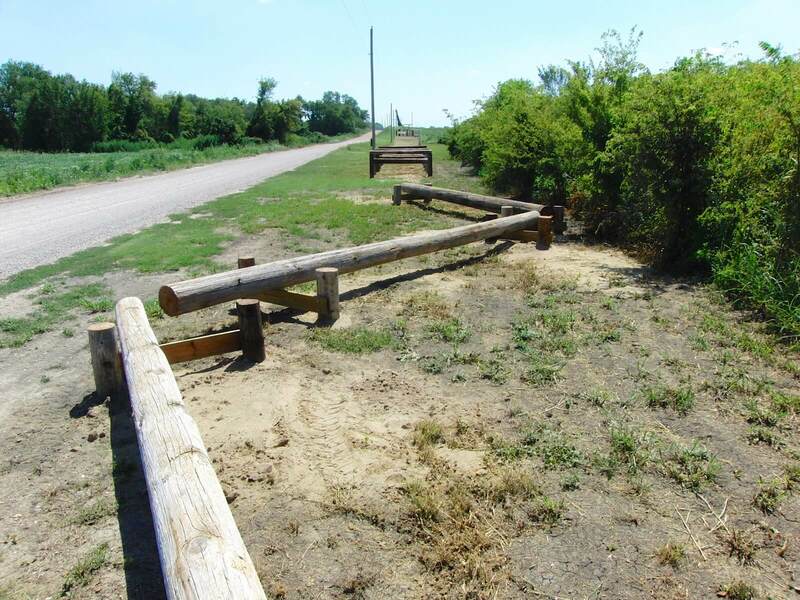 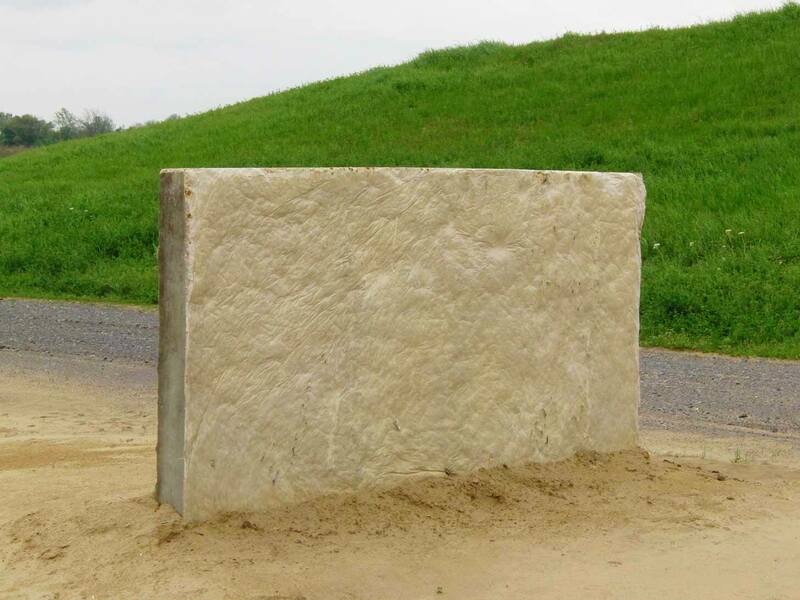 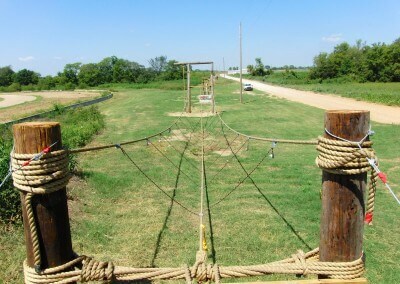 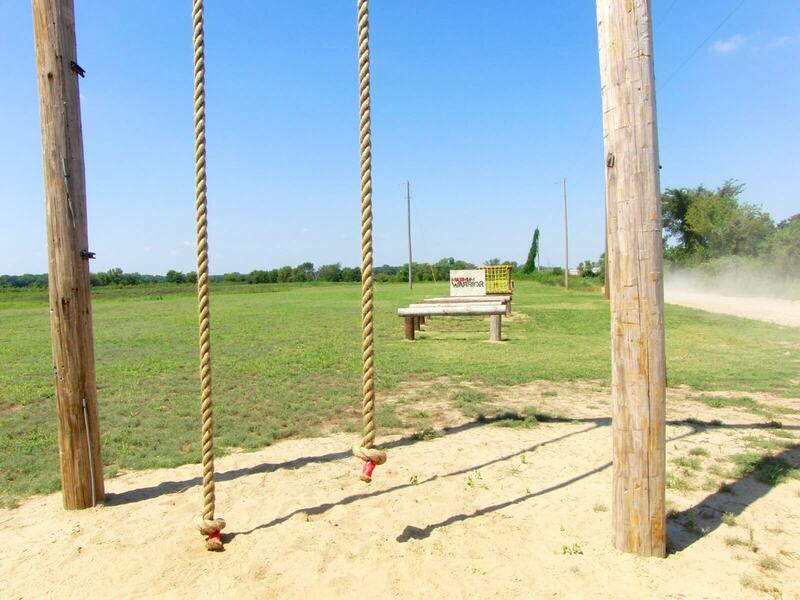 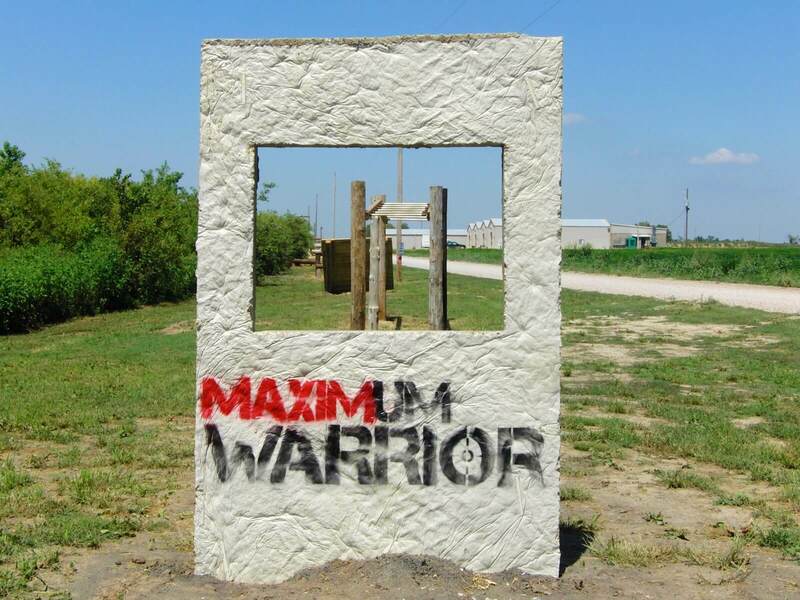 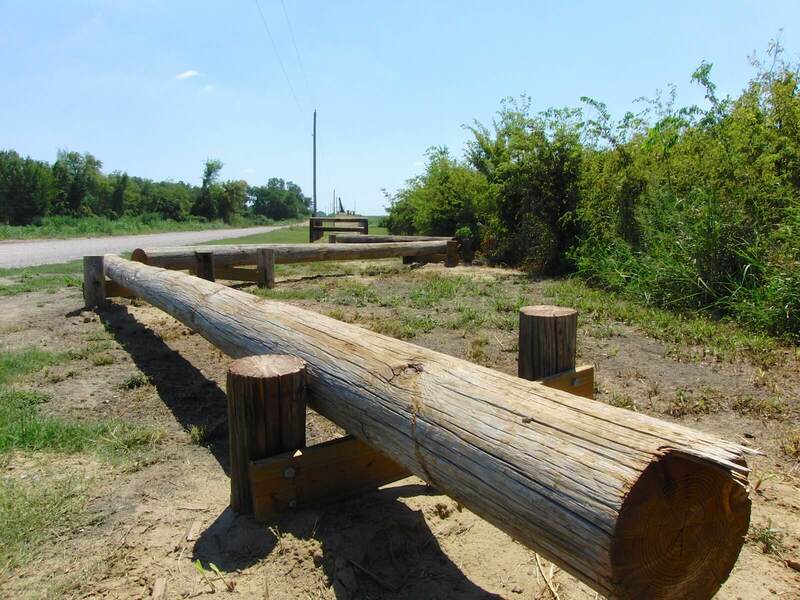 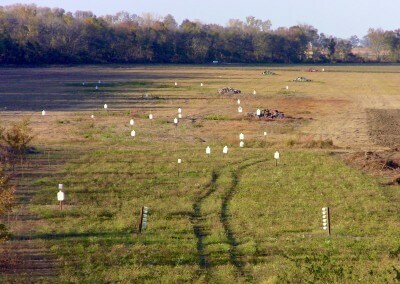 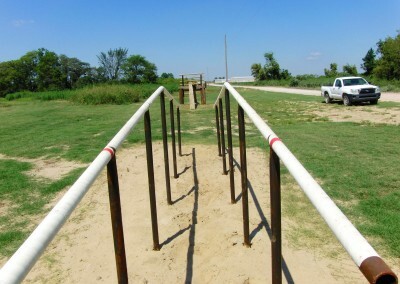 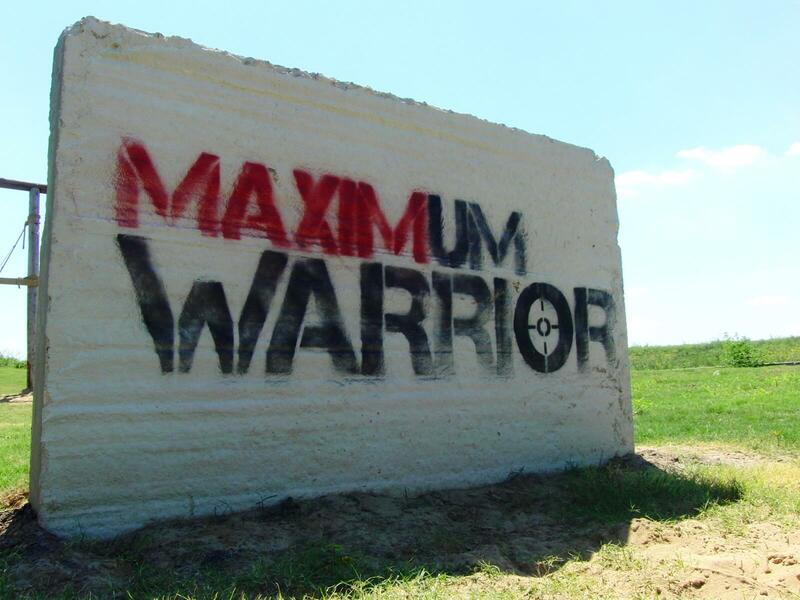 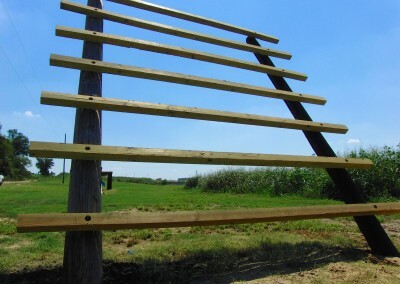 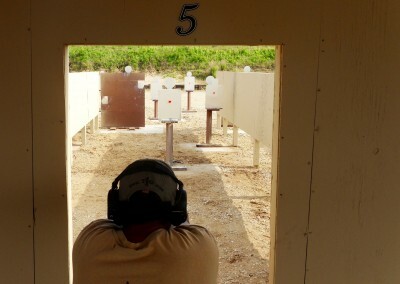 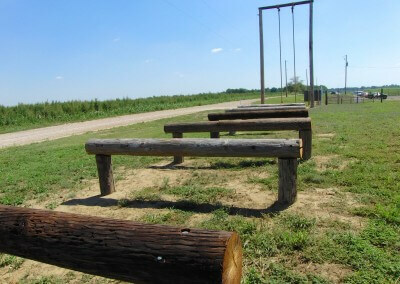 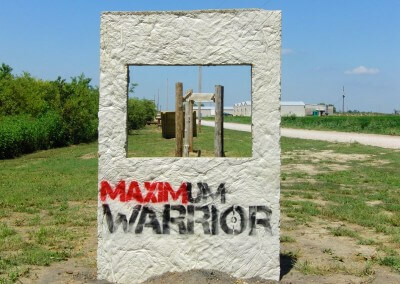 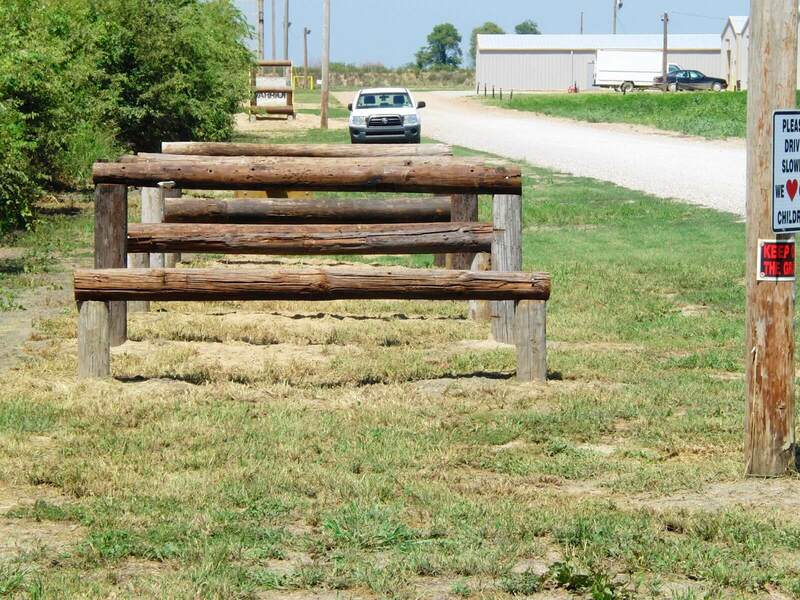 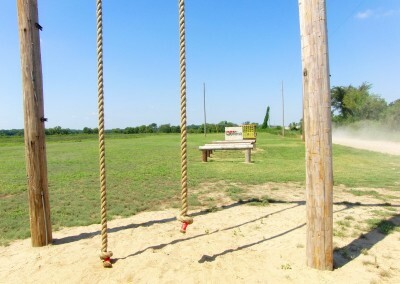 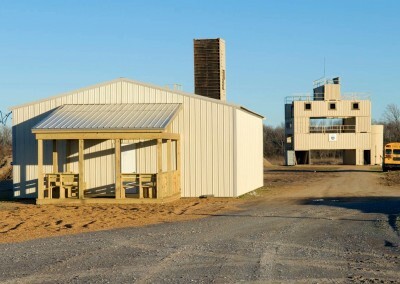 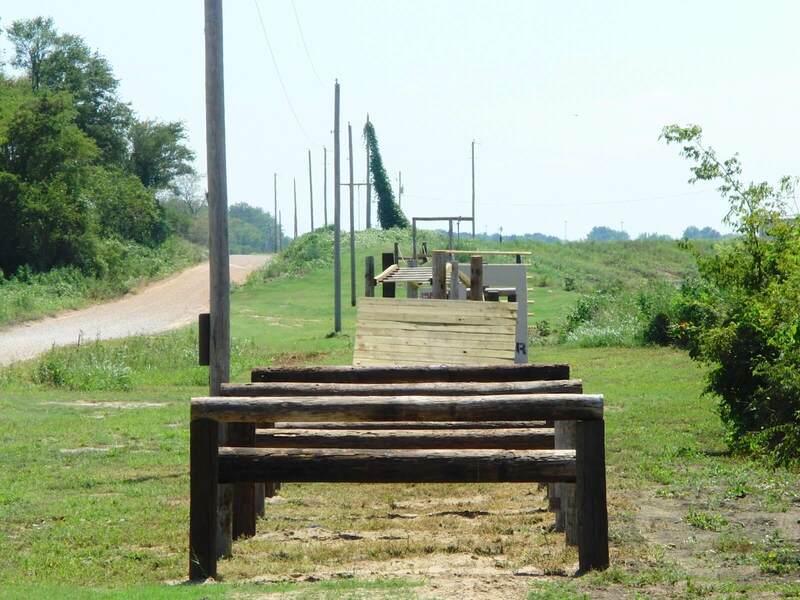 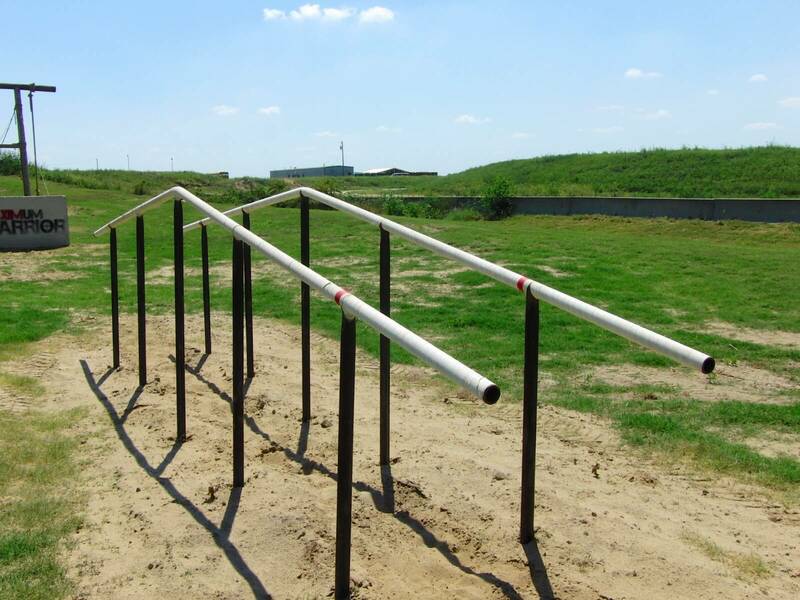 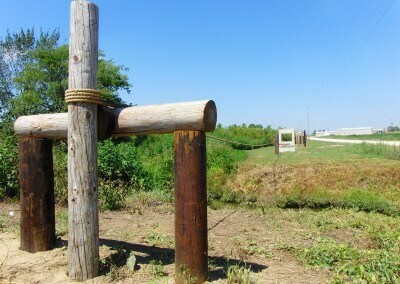 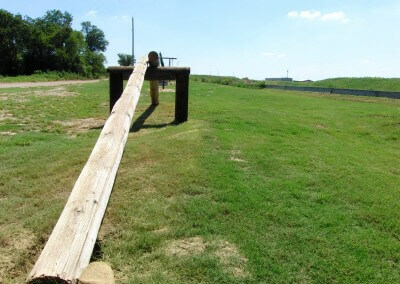 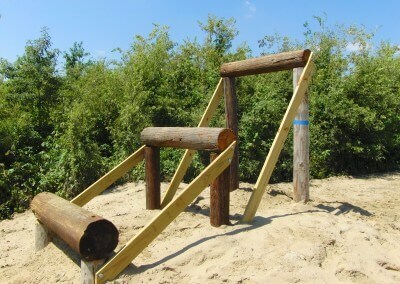 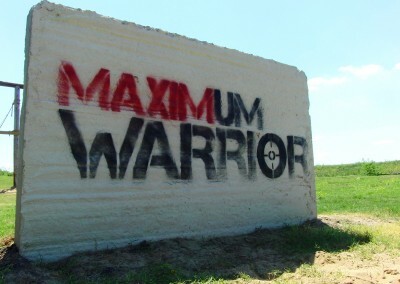 T1G is host to MAXIMUM WARRIOR and boasts a phenomenal obstacle course that is available to clients. 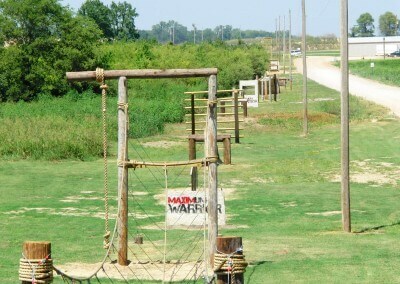 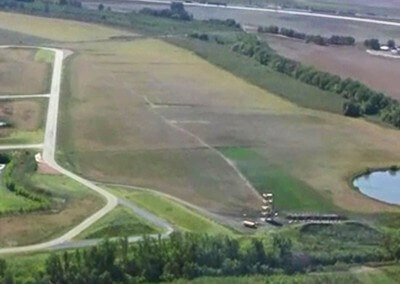 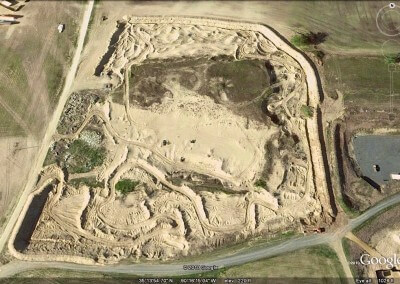 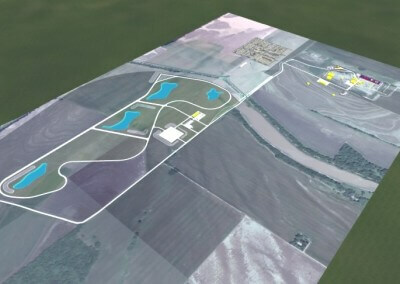 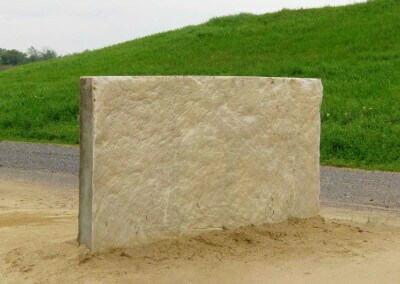 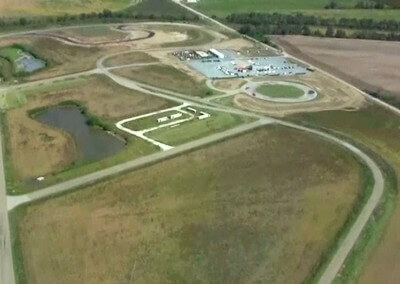 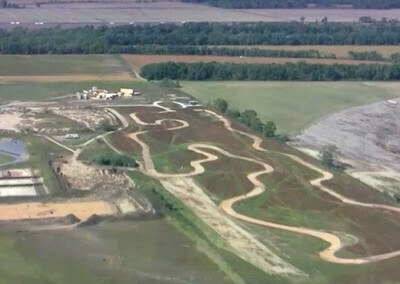 The course is located right in front of the lodging facility, tempting anyone with idle time on their hands. 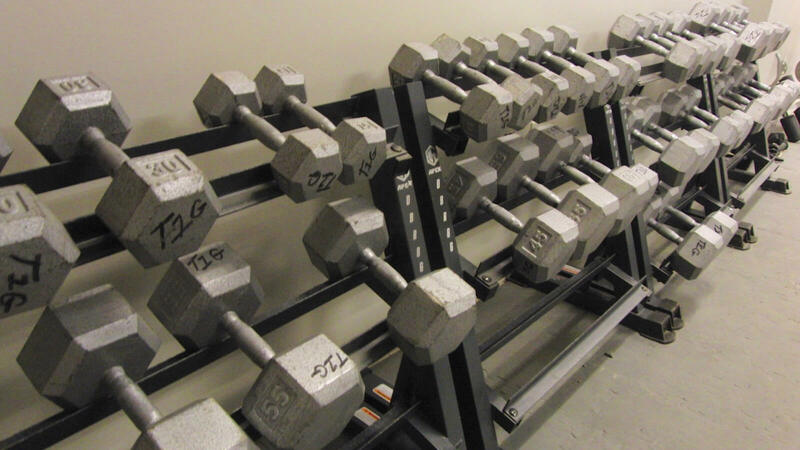 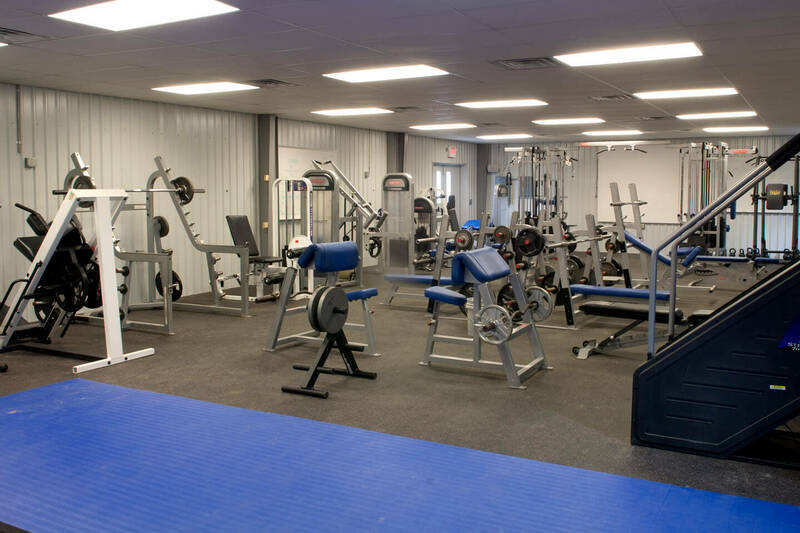 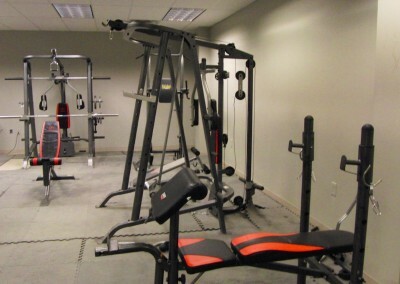 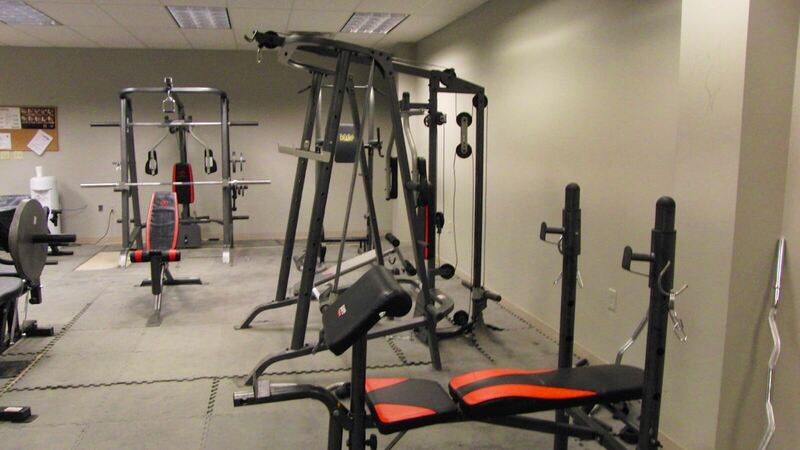 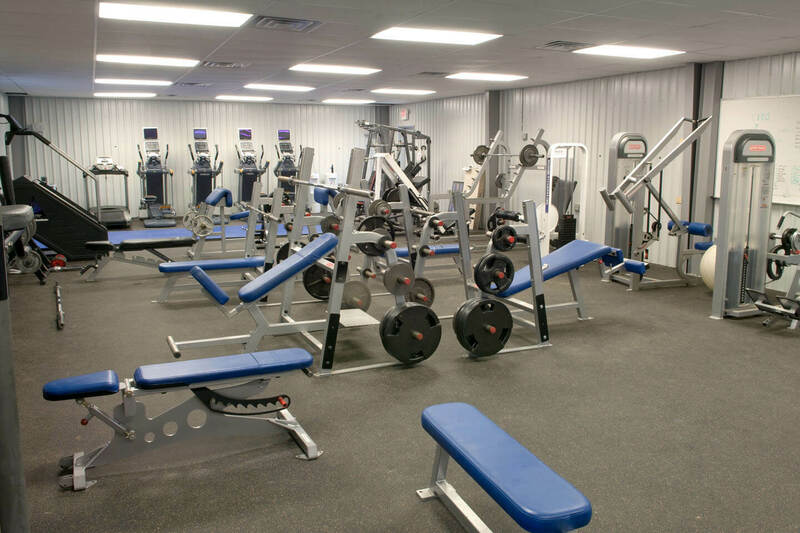 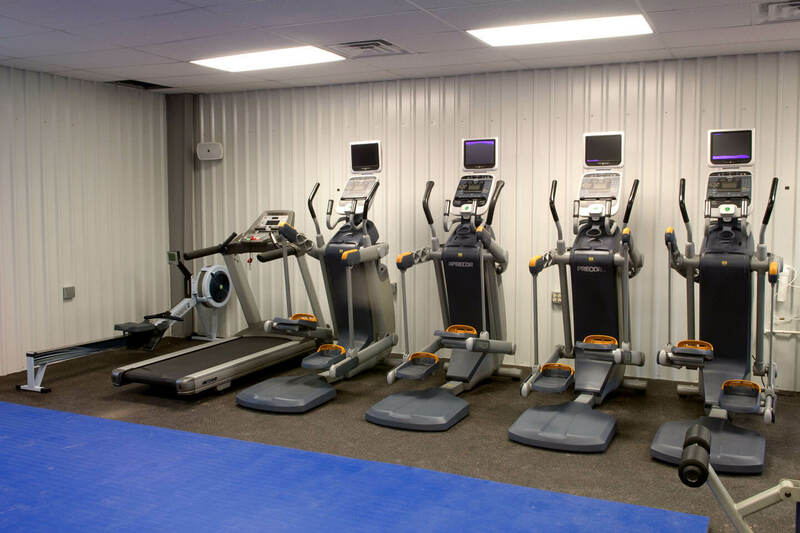 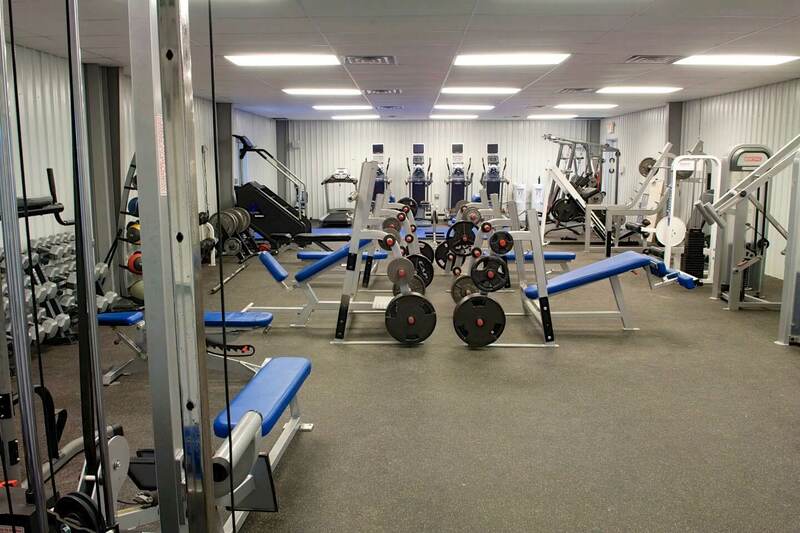 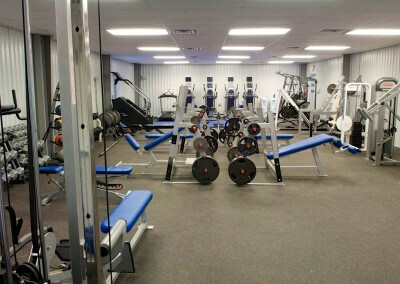 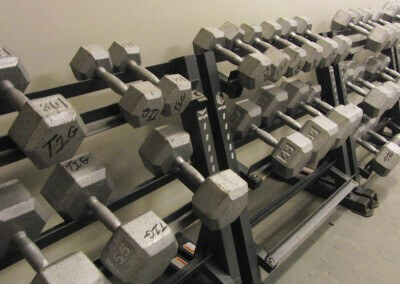 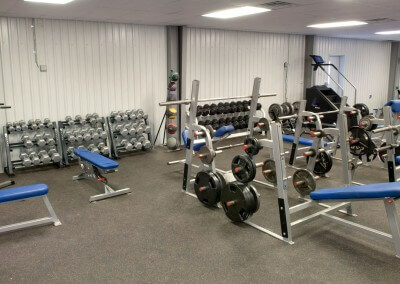 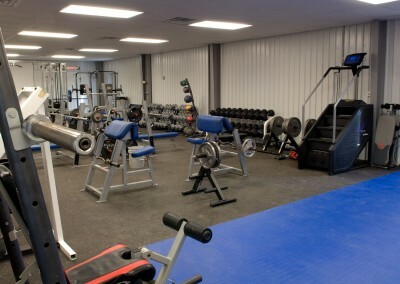 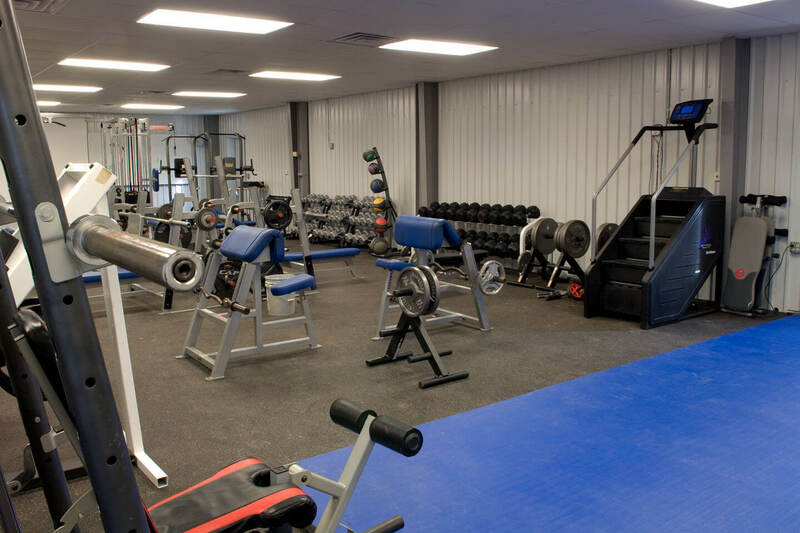 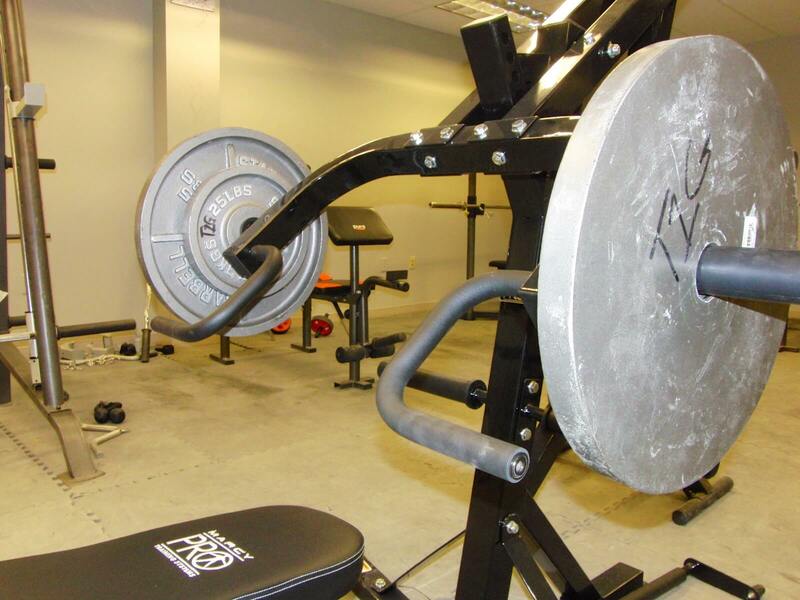 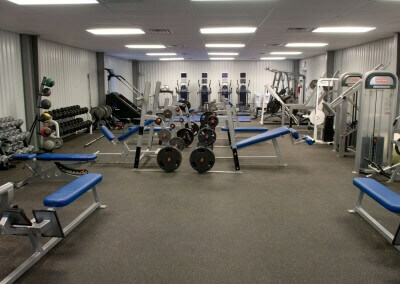 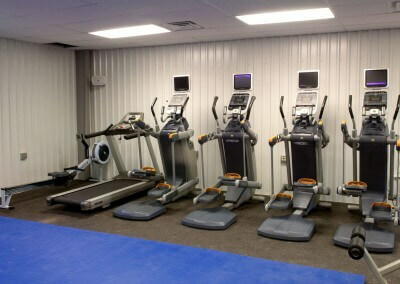 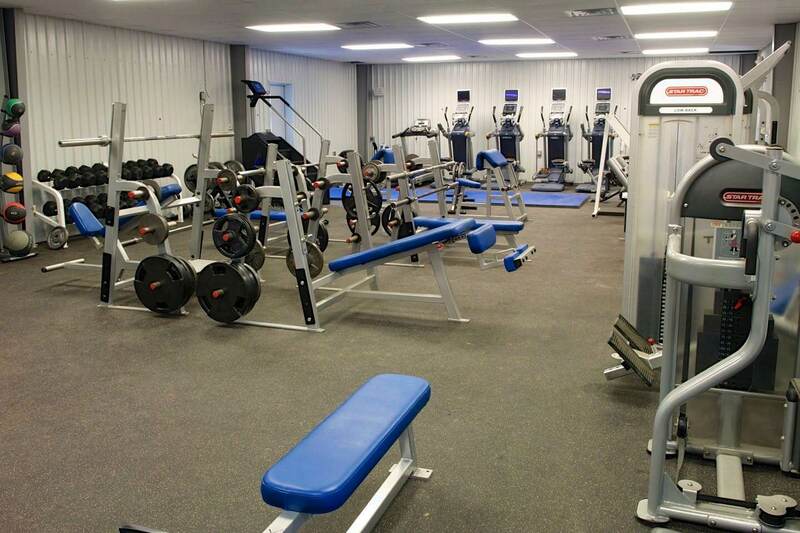 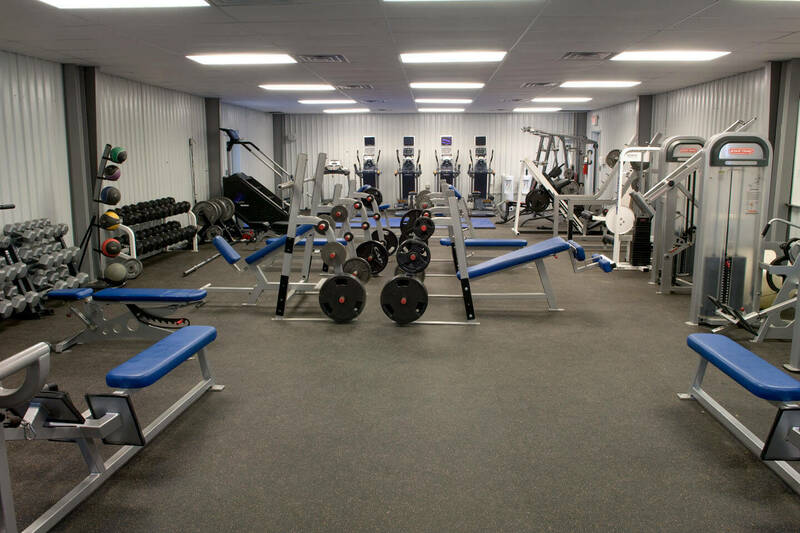 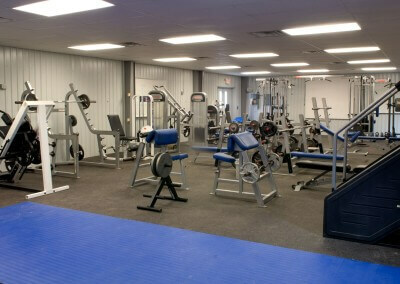 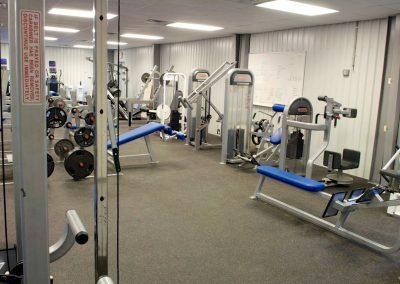 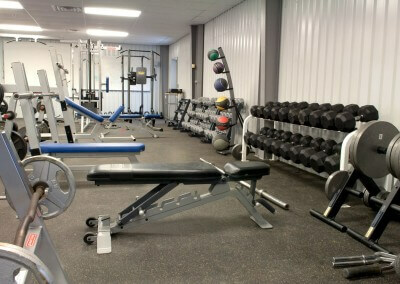 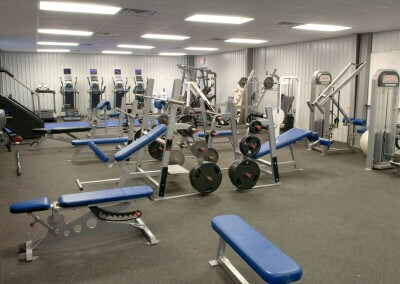 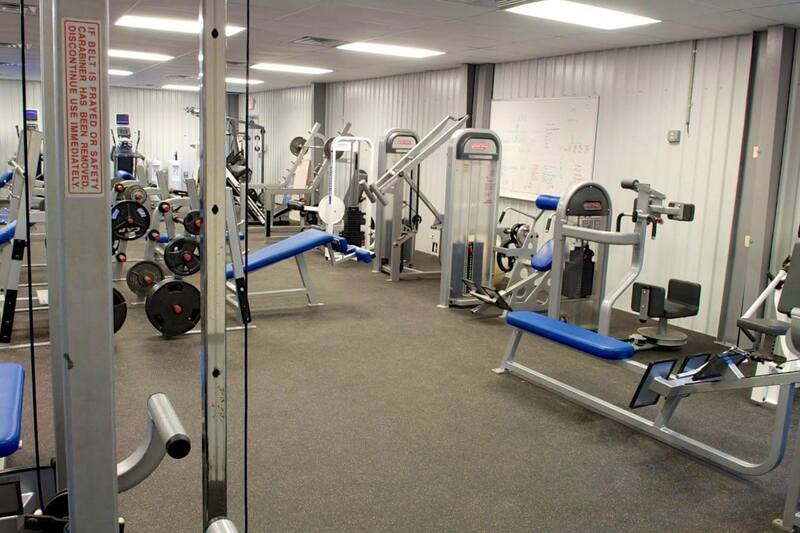 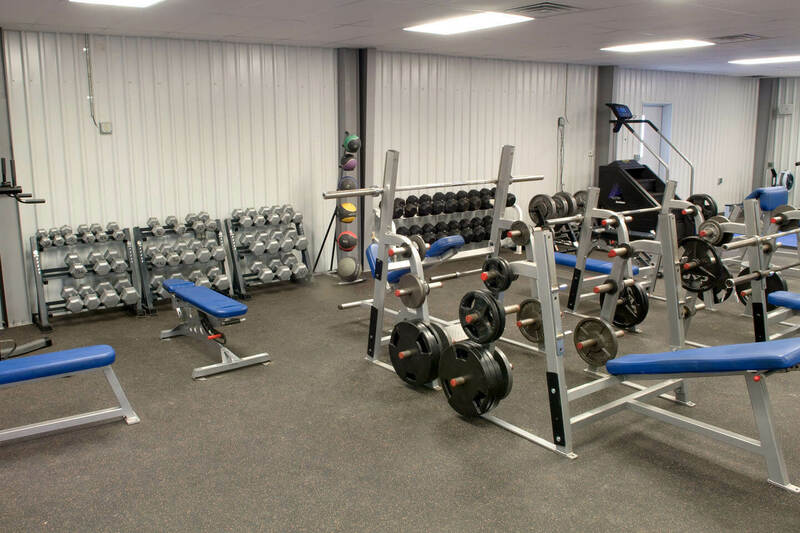 A full fitness center with free weights and machines is available. 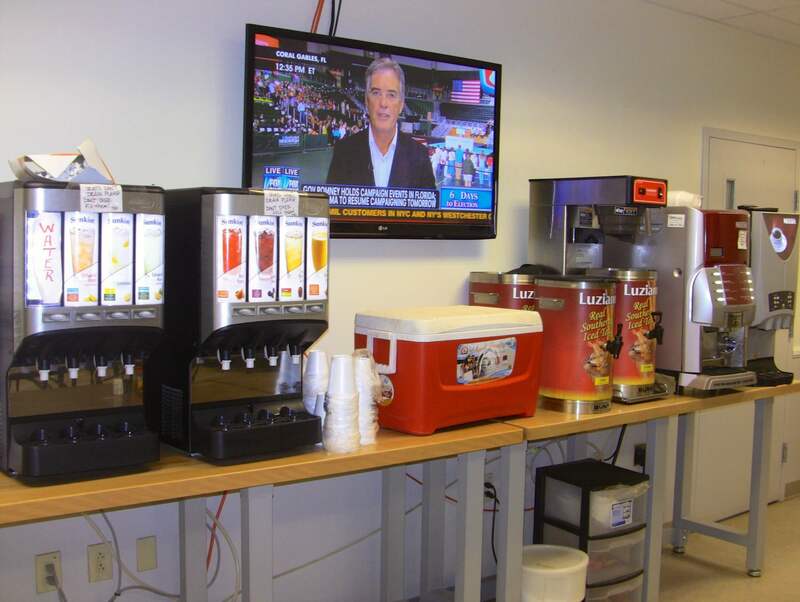 The lodging facilities offer an array of vending machines available 24/7 and the T1G Pro Shop is able to provide incidentals and other merchandise.